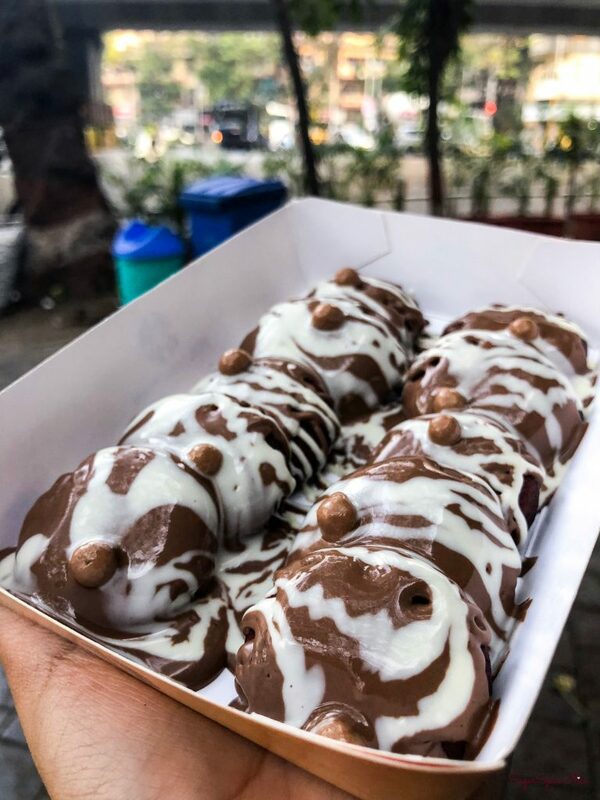 Growel’s 101 Mall – Thoosday! Growel’s 101 mall in Kandivali, Mumbai is easily one of the biggest and most fun malls in Mumbai. 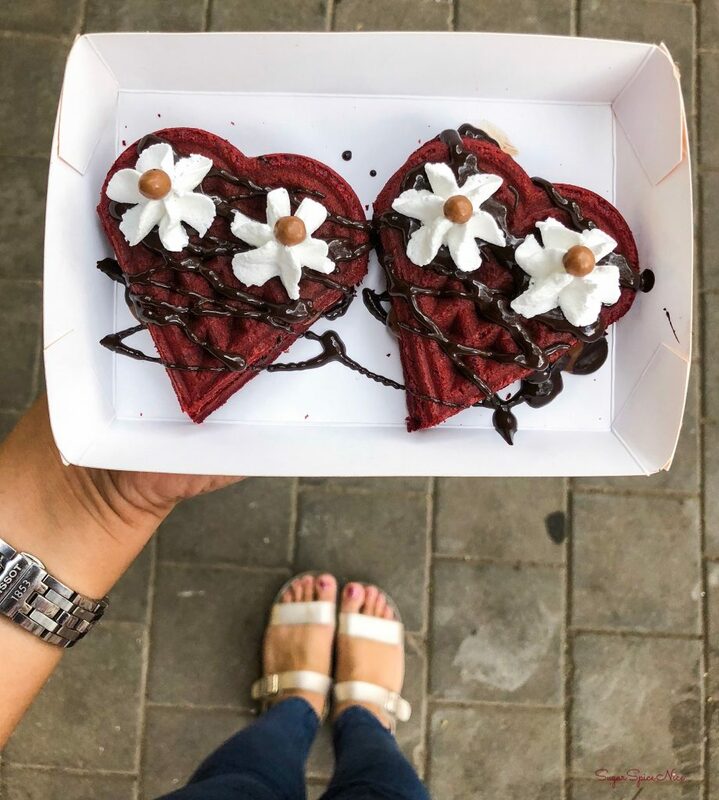 While Growel’s 101 offers a wide variety of shopping and fun activities, they even have a very interesting and attractive food court. And it gets even better on a Tuesday when you can avail of a flat 40% off on selected food outlets. 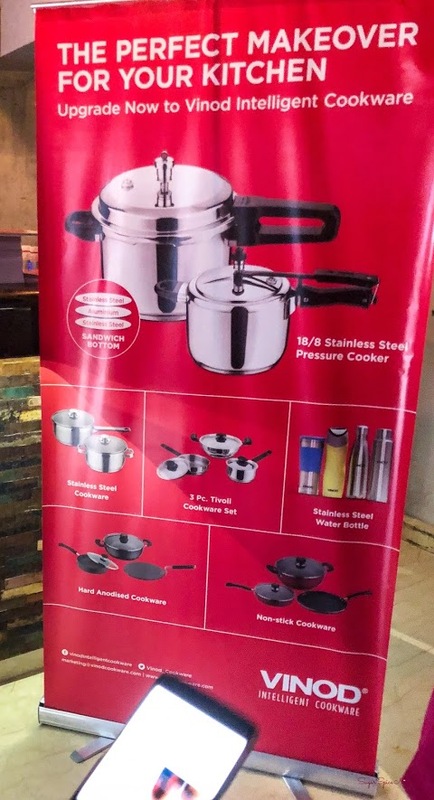 Watch this video to know more about the Thoosday offer at Growel’s 101 mall. 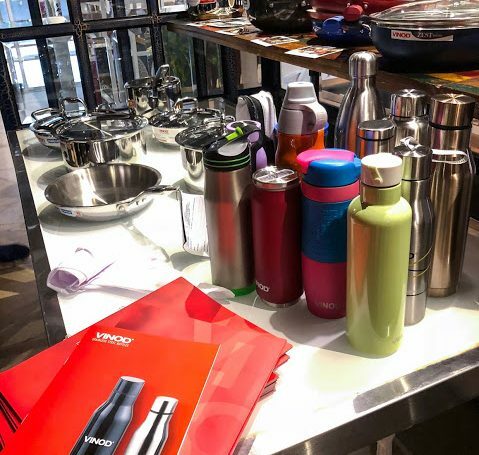 While you can find a ton of options to enjoy as part of the Thoosday offer at Growel’s 101, here are a few which I personally enjoyed. Spring rolls stuffed with vegetables tossed in Schezwan Sauce – now this is something that anyone would love. 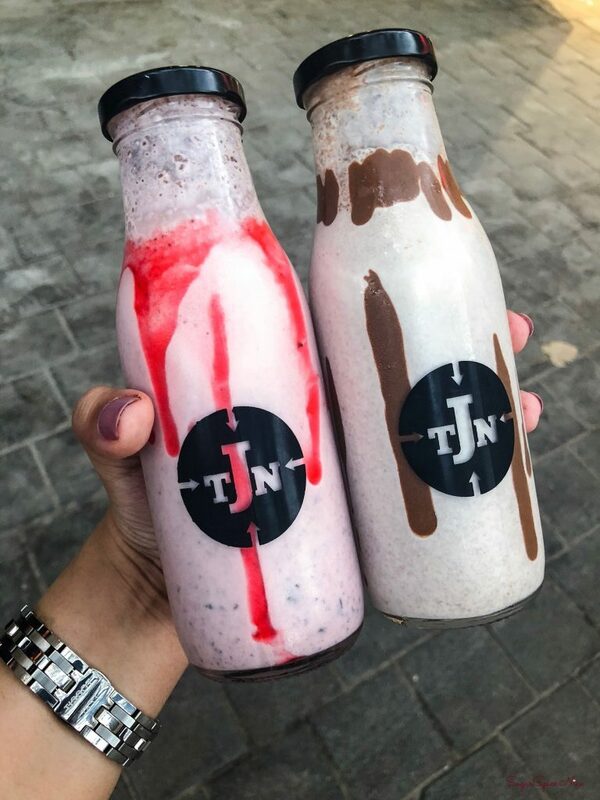 These are priced at Rs.114 on Tuesdays as part of the offer. 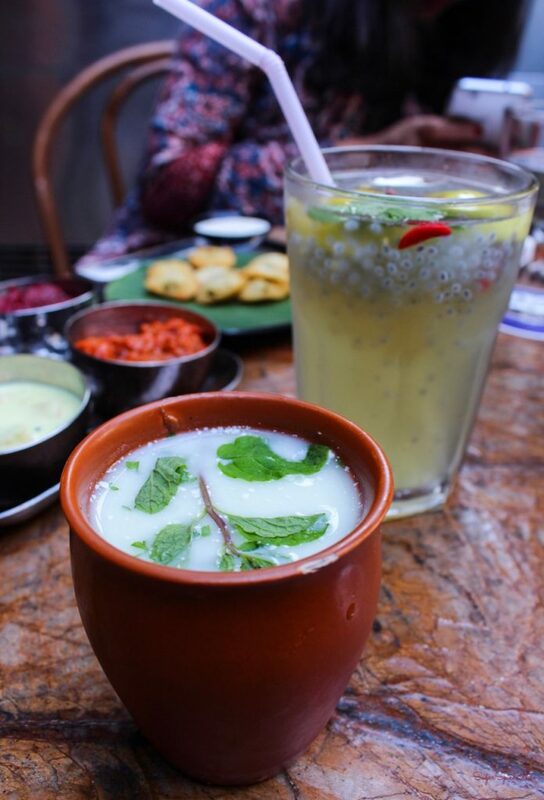 Want a full meal that includes roti, subzi, dal, chawal, sweetdish, lemonade and more? 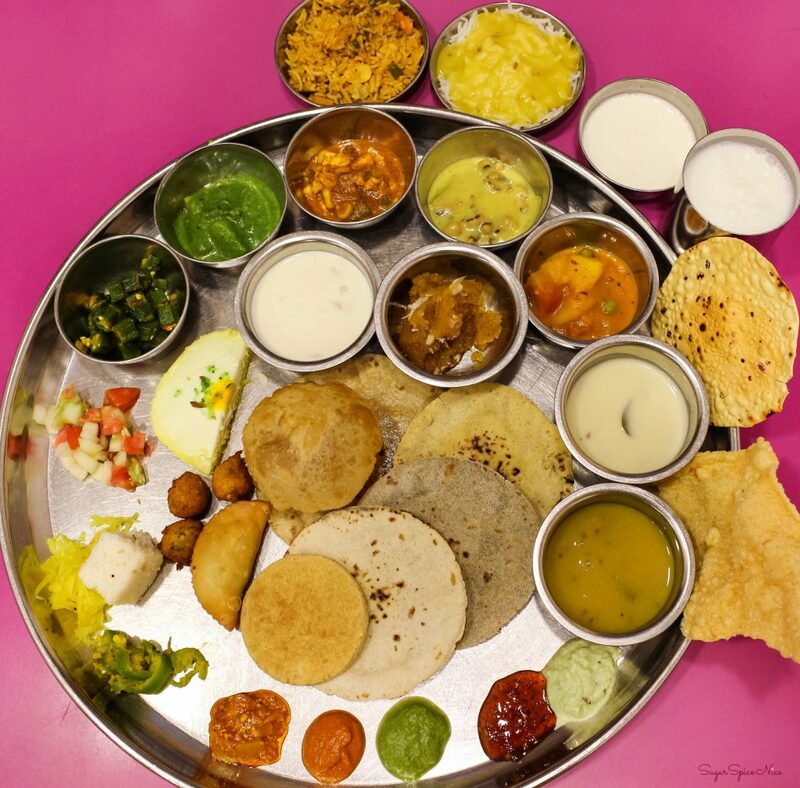 Then the Thali at Sanskriti is a good option. 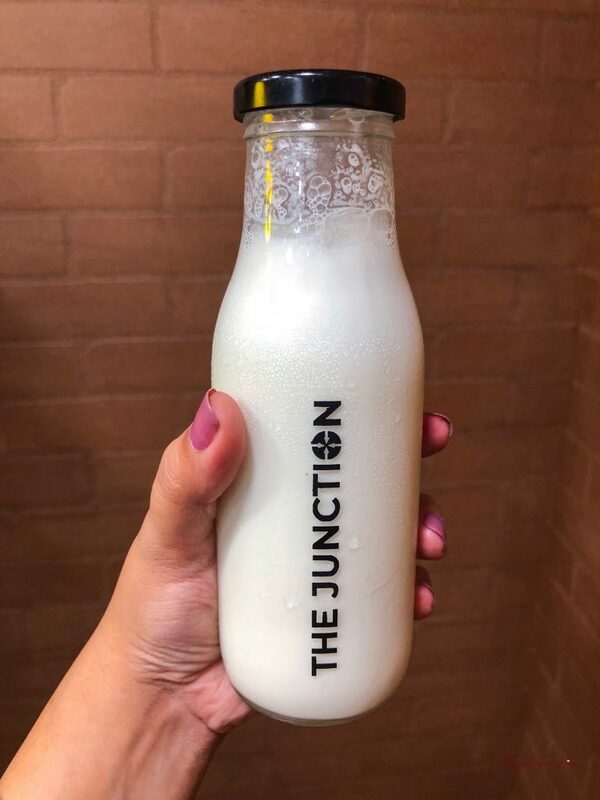 You can enjoy this for Rs.180 as part of Thoosday. 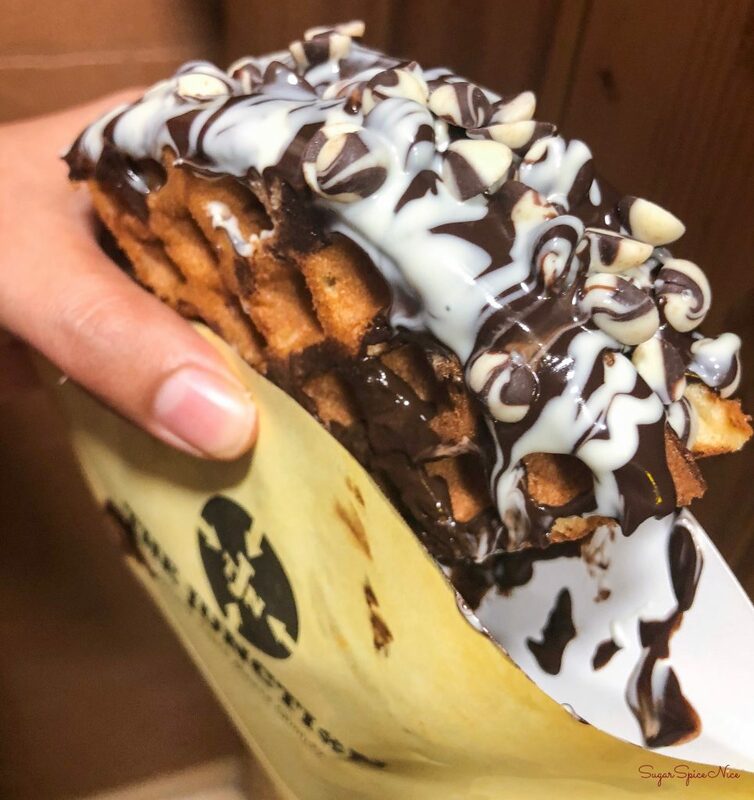 A really cool Italian food outlet, Eatalia serves delicious pasta and the good thing is that it’s at 40% off on a Tuesday. Pick up the cheesy pasta or the Eatalia special for a price of Rs.163 each. These can be easily shared among 2 people as the sheer size of these parathas is quite good. You can even enjoy other food options in the Thoosday offer. I absolutely loved my day at Growel’s 101 mall. 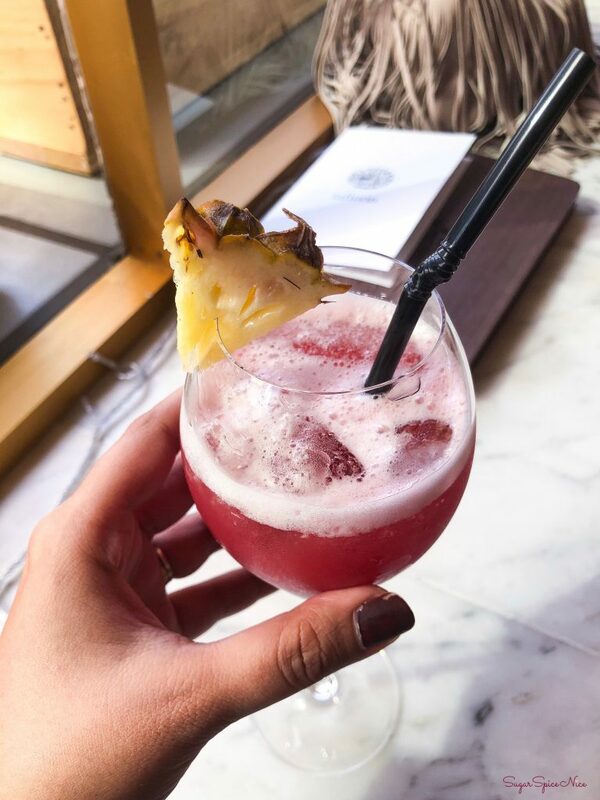 There is so much to do, to shop and to eat. And you can make it even more worthwhile by checking out their Thoosday offer on Tuesdays. 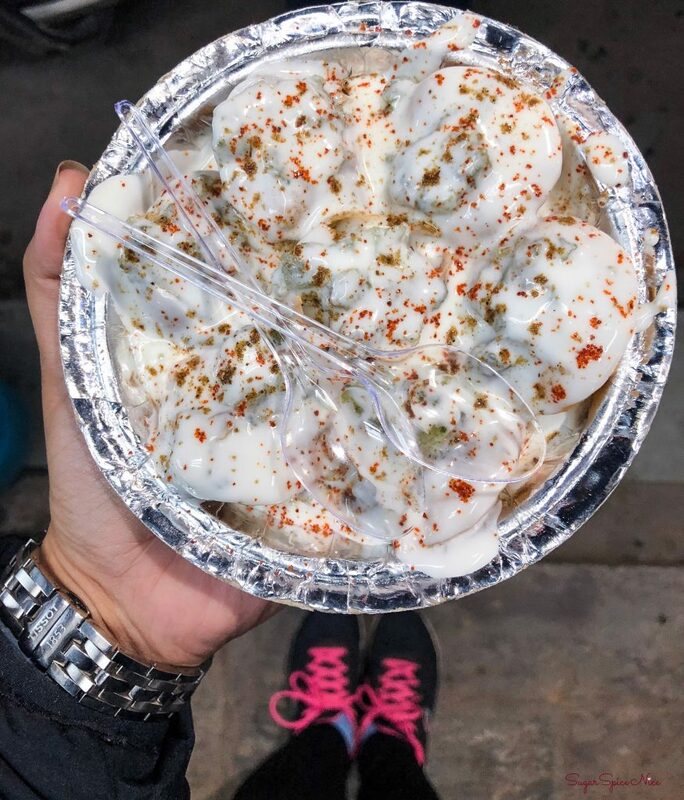 I was born and brought up in Mumbai and here are my most favorite Mumbai Street Food picks. 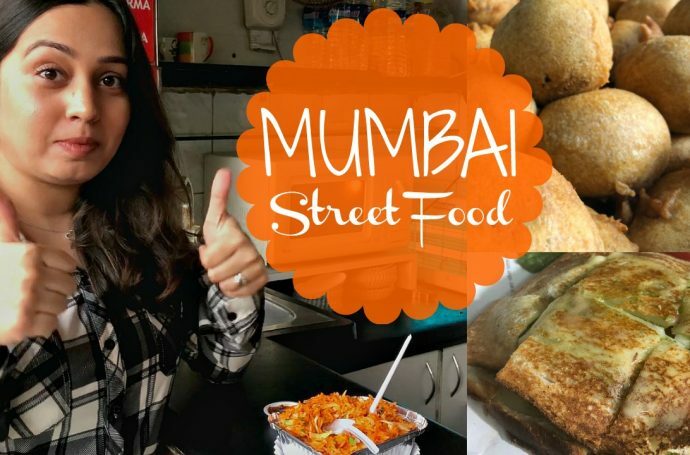 Watch videos of Mumbai Street Food. 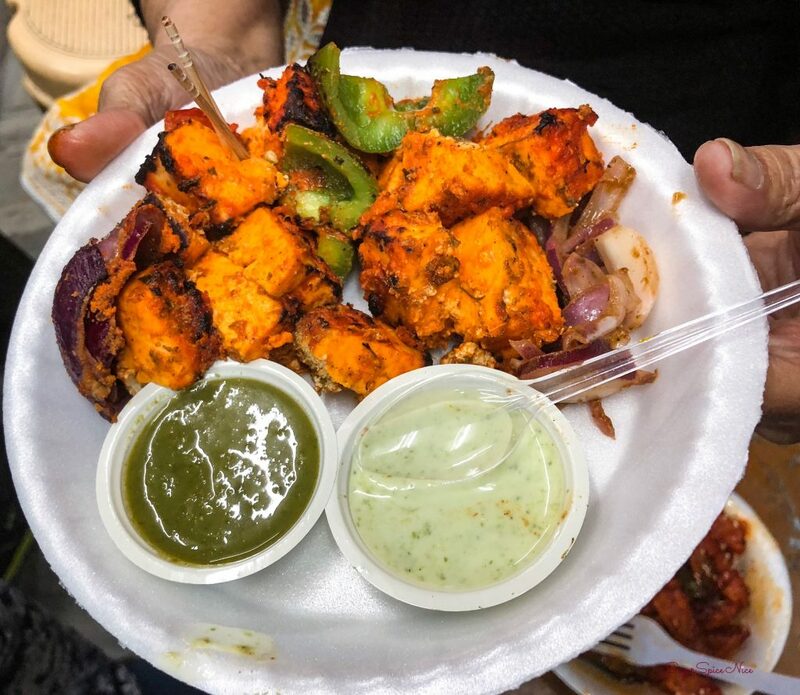 Mumbai is quite famous for its street food. 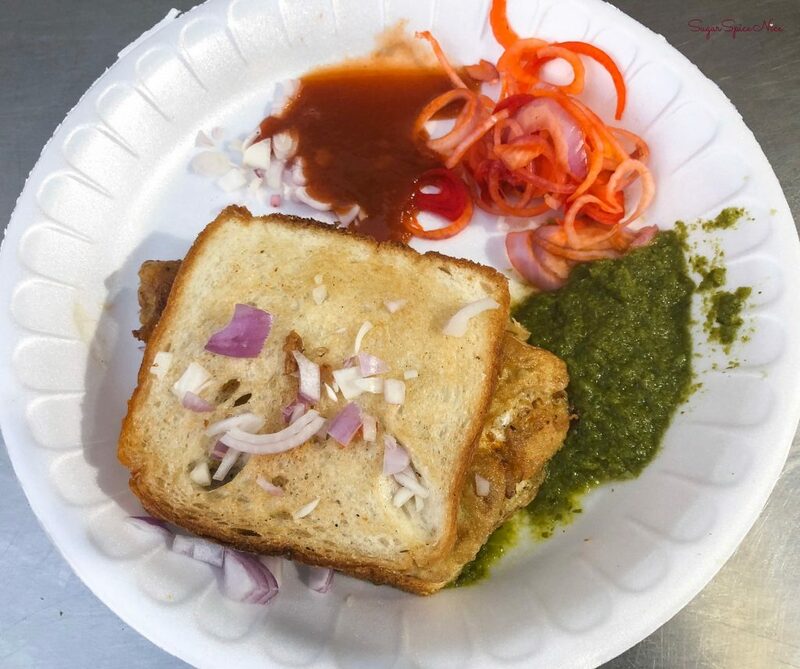 Especially local items like Vada Pav and Pav Bhaji are extremely popular. The roadside sandwich too is quite a crowd puller. 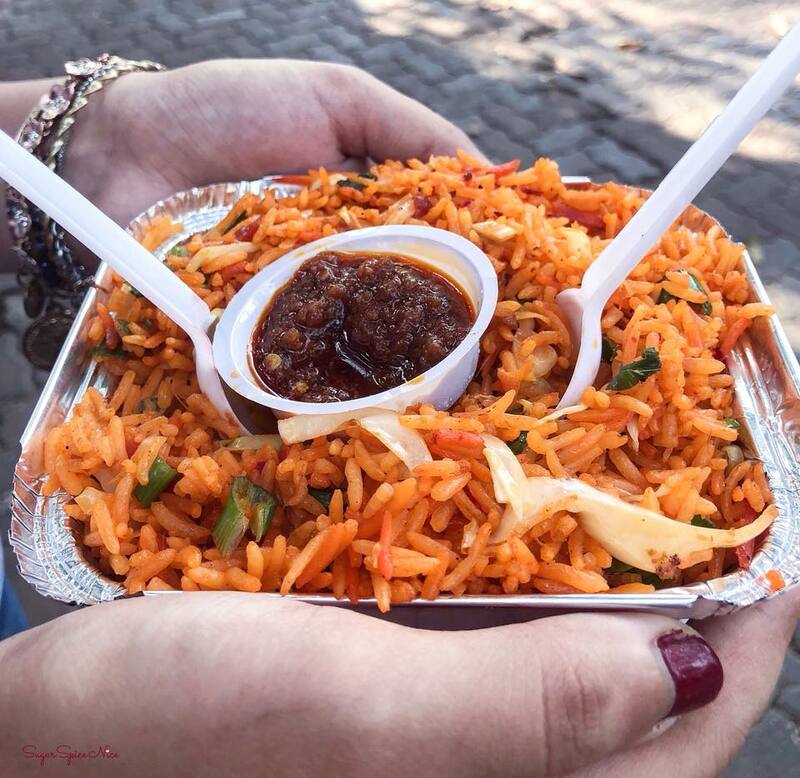 Here are my top picks for Mumbai Street Food. 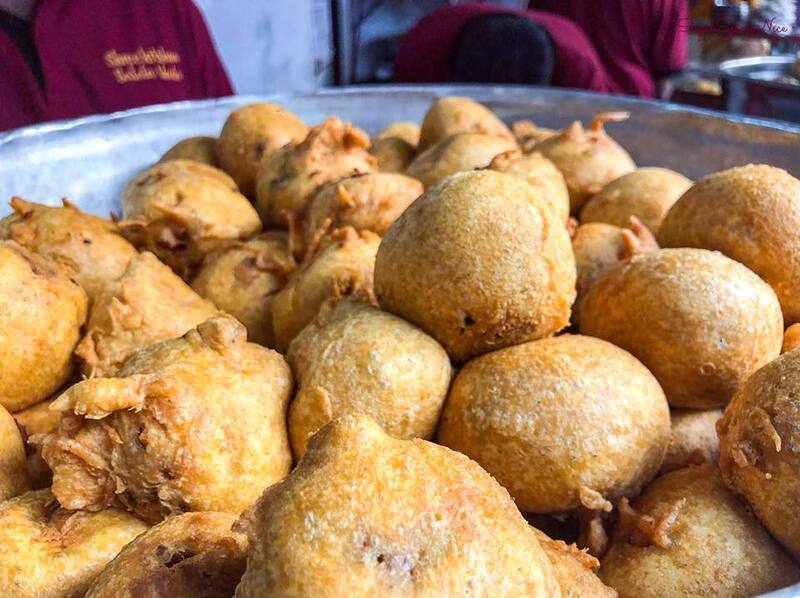 This place in Dadar serves the best Batatawada in the city. You get only wada and no pav. And this is best enjoyed with some mirchi on the side. This is in Churchgate close to H.R. & K.C. college and has a following of its own. 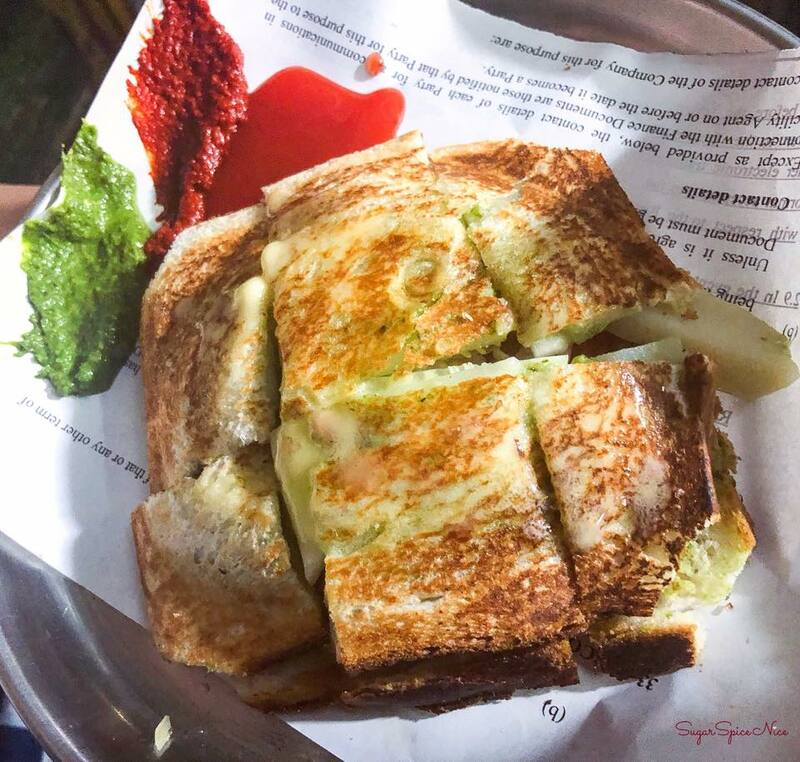 Apart from the classic toast sandwich, they even make the weirdest Pizza and Panini. 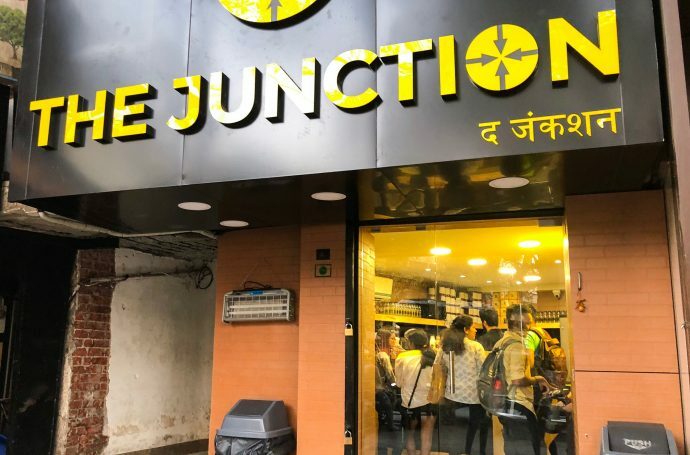 This place is located next to Rizvi College in Carter Road. 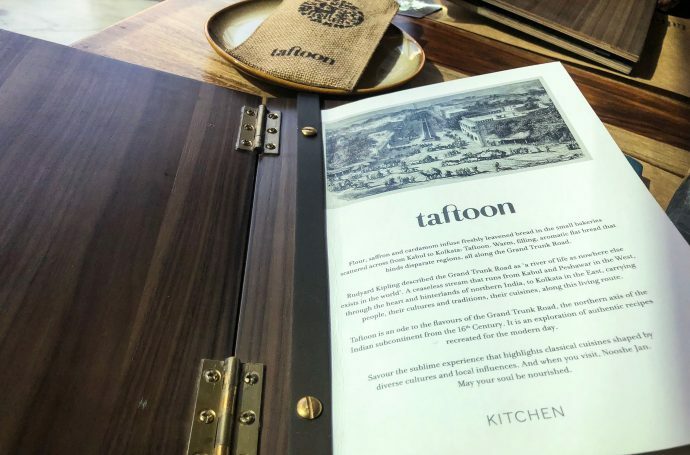 And they are known for their Indianized Chinese food. 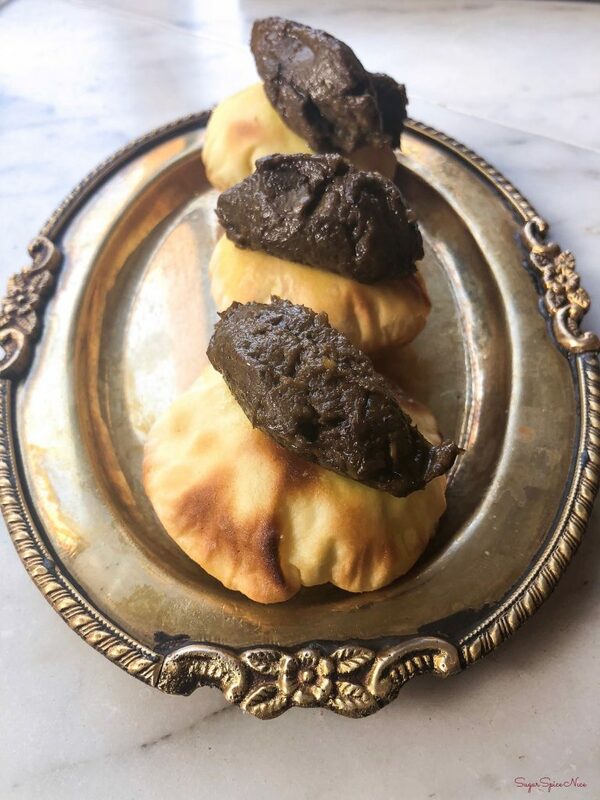 Their schezwan sauce is so different and delicious. 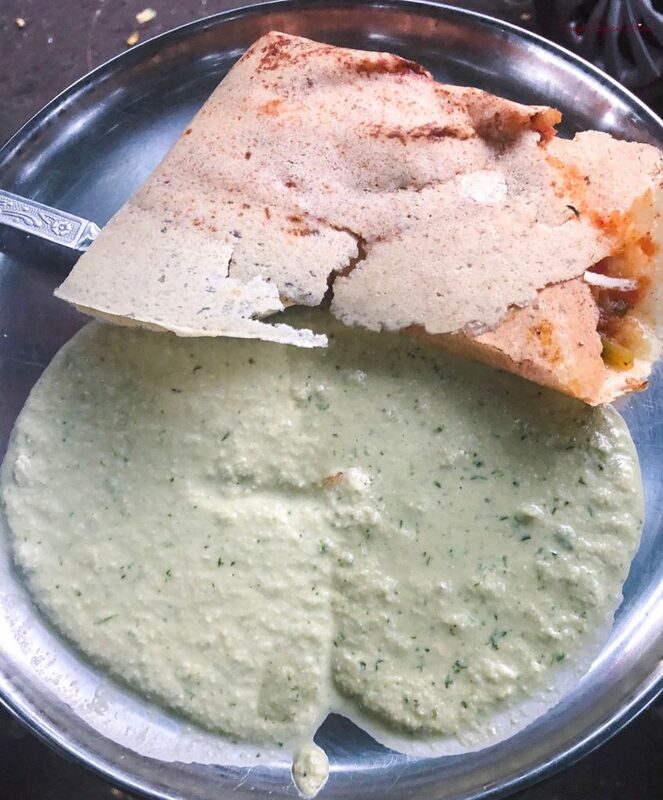 One of the best dosa places in the city – definitely try the Mysore Masala Dosa here. This place is located in Grant Road. 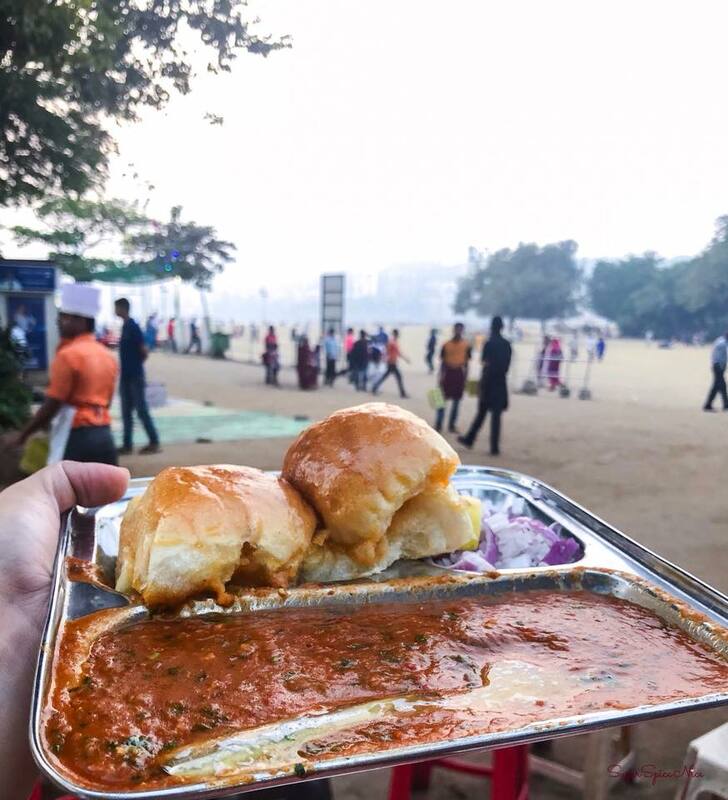 Located in Girgaon Chowpatty Mumbai, this stall serves some really delicious Pav Bhaji. And super buttery as well. 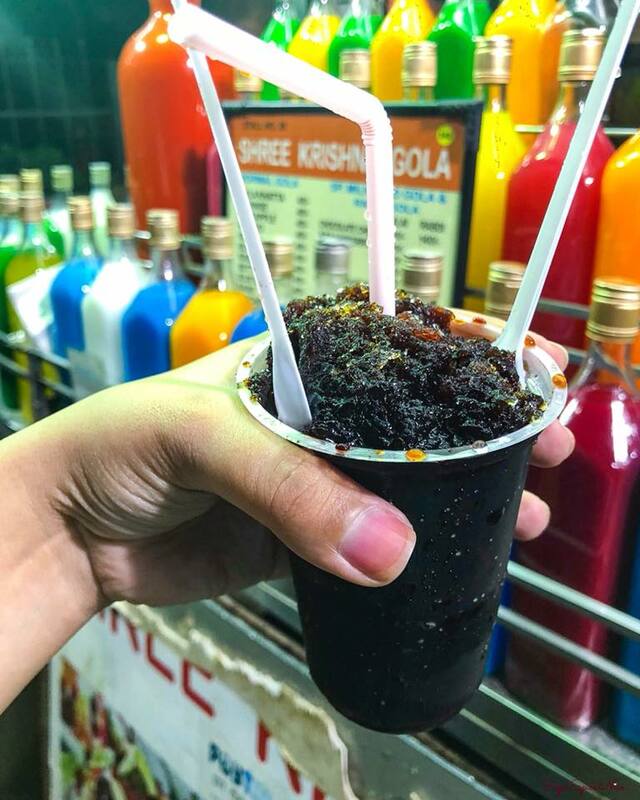 You can’t go to Chowpatty and not eat gola! 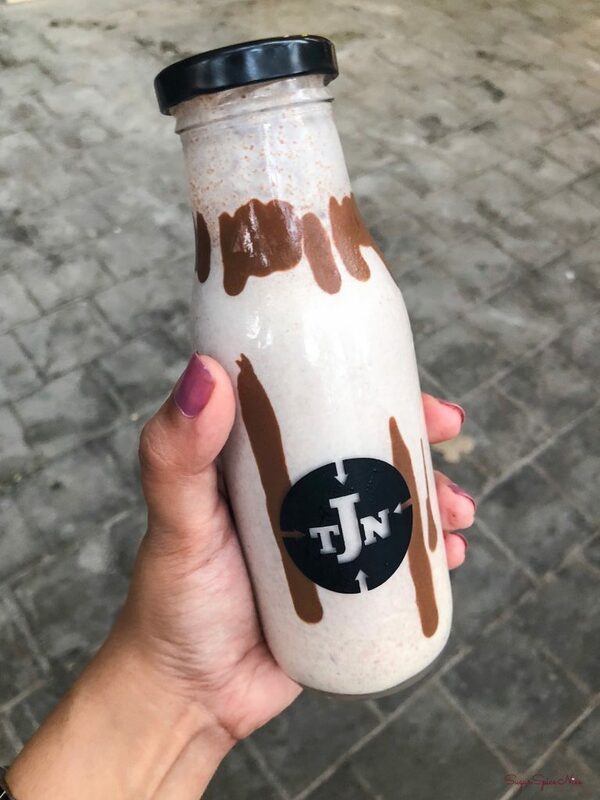 So this is a must have at Girgaon Chowpatty. 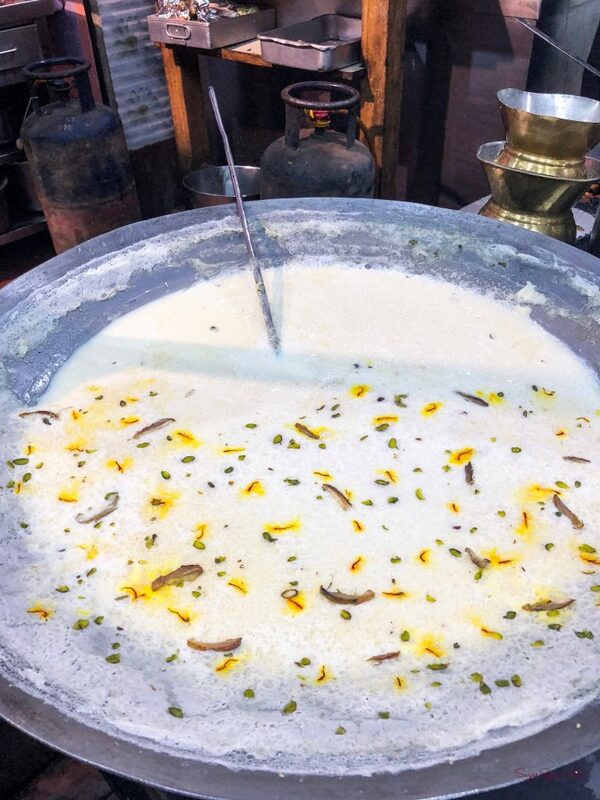 Kalakhatta is a classic flavor but you can ask them to whip up some weird combination as well. 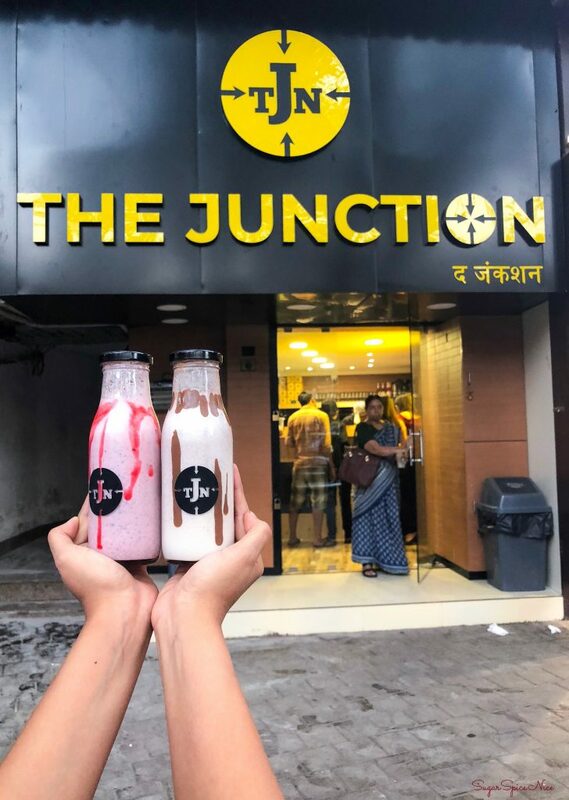 This is in the Vile Parle Khau Galli in Bajaj road and you should try the Jini Dosa here. Pretty interesting. 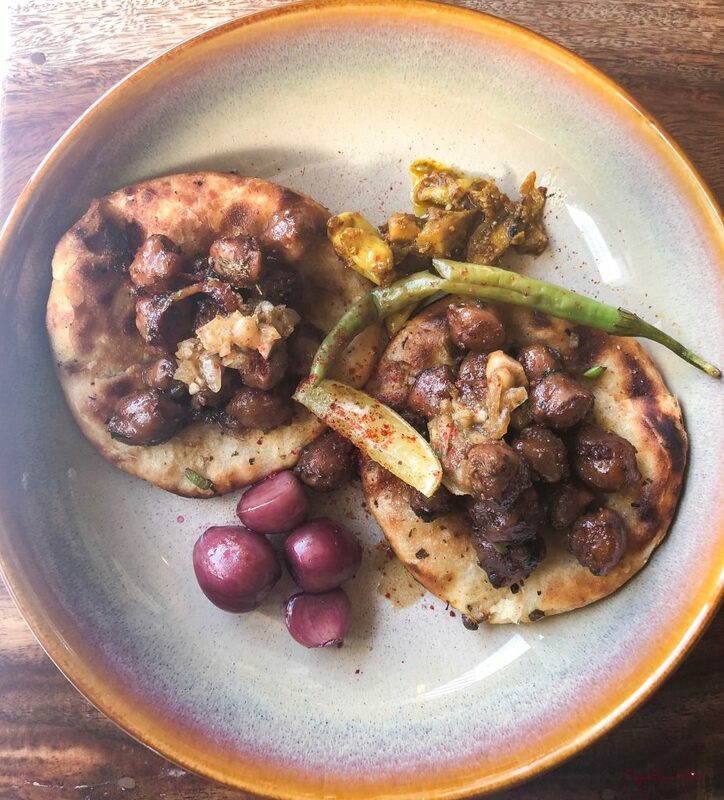 So those were few of my picks for Mumbai Street Food. 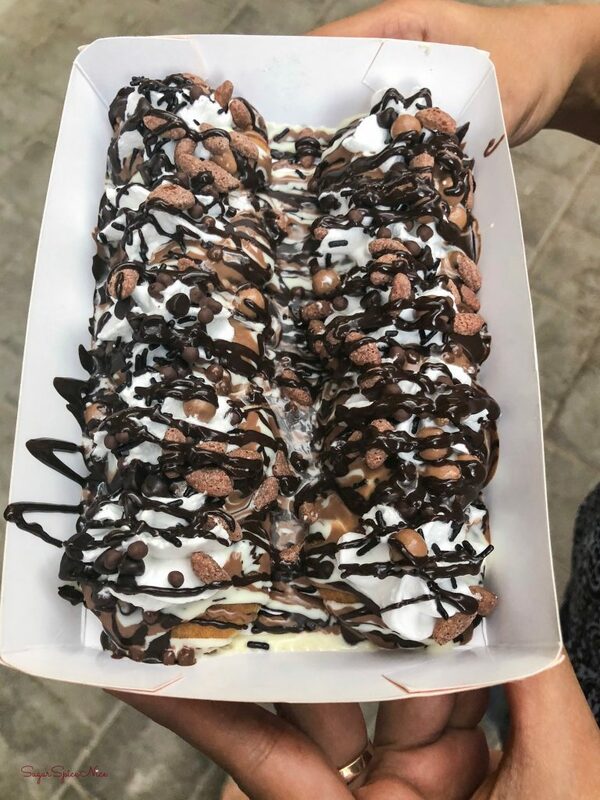 If you want more street food options and places then leave that in the comments below and I’ll probably make a part 2 for this. 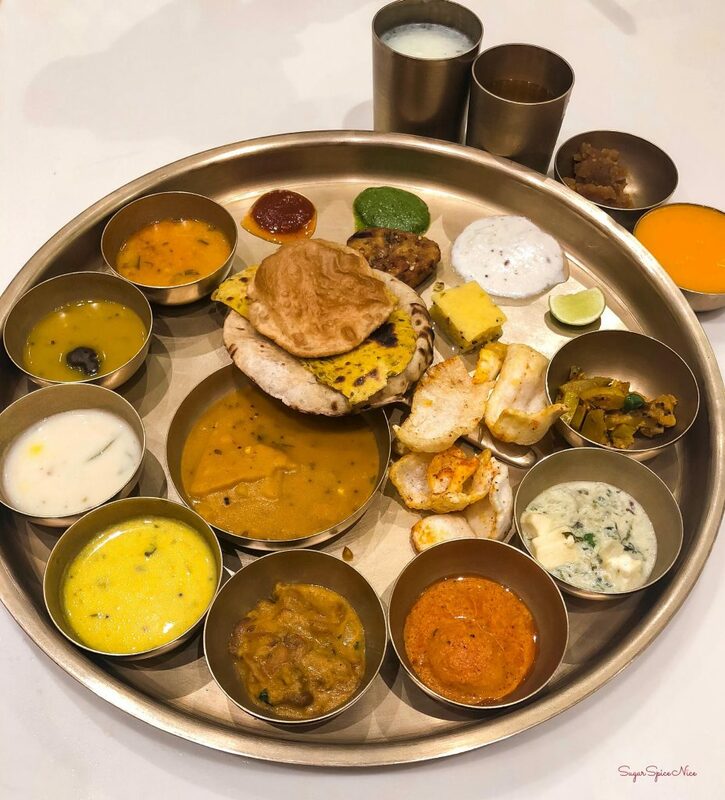 If you are looking for suggestions on what to eat in Jaipur, then you have come to the right place! 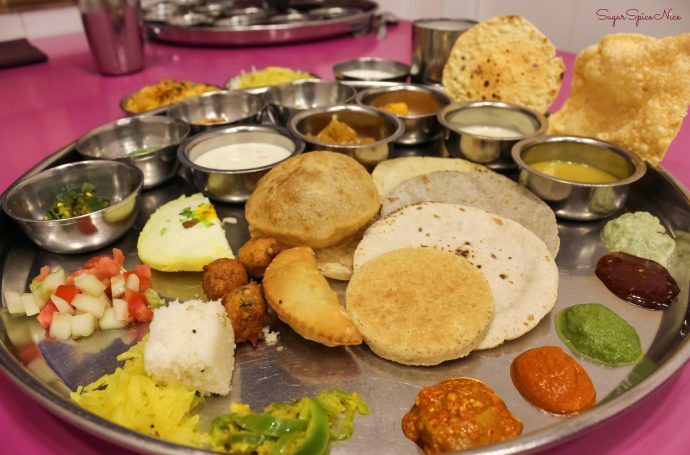 Watch these videos of the best food that you need to eat in Jaipur. 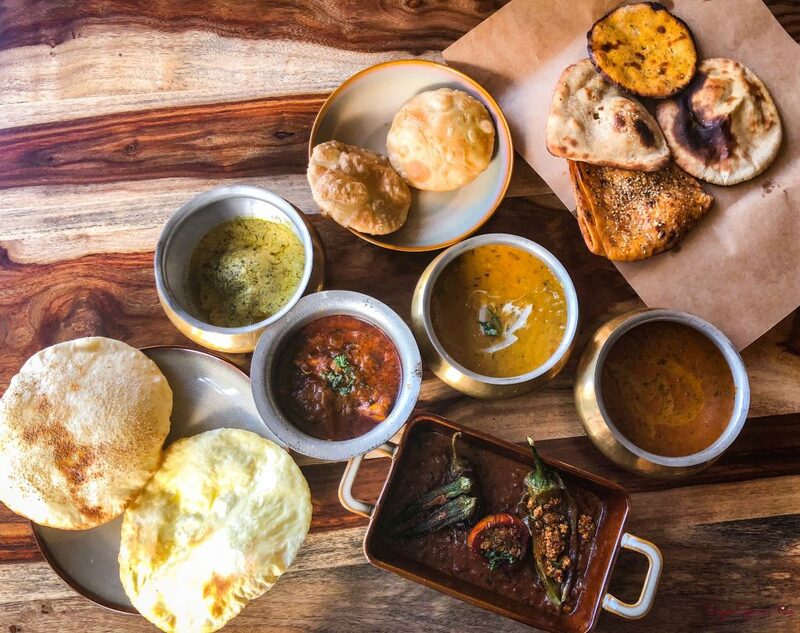 Here are all the things that you need to eat in Jaipur. 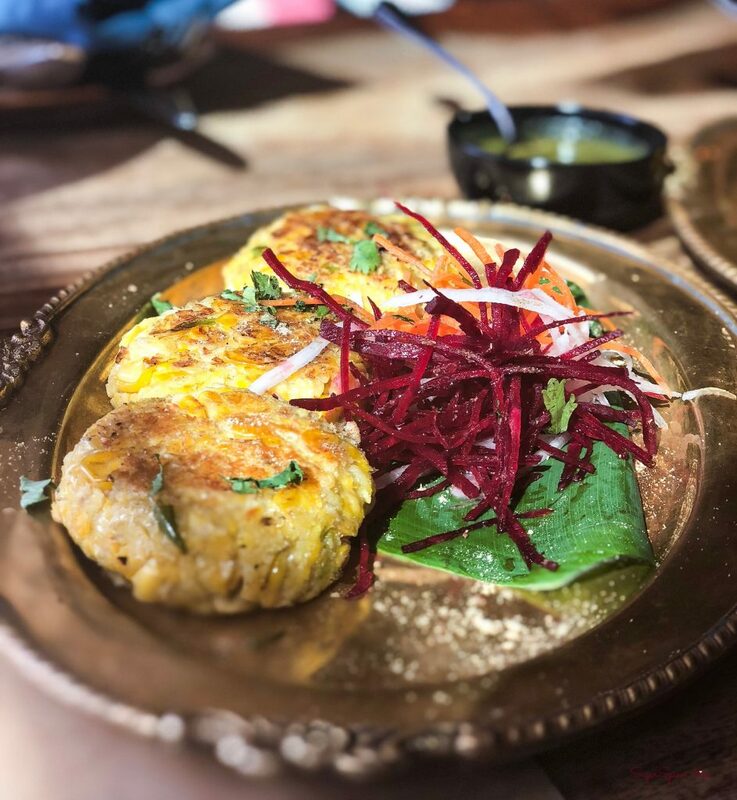 Aloo Tikki Chaat and Paneer Ghevar at L.M.B. L.M.B. is an institution in itself and you need to begin every trip to Jaipur by visiting this place. 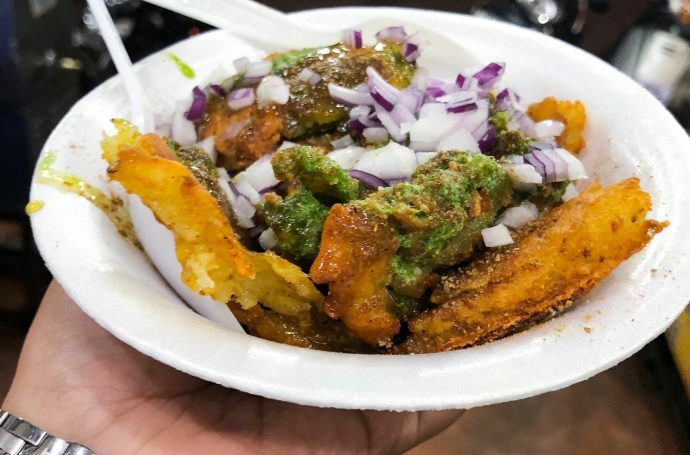 They are famous for a lot of things but I absolutely recommend trying out their Aloo Tikki Chaat. 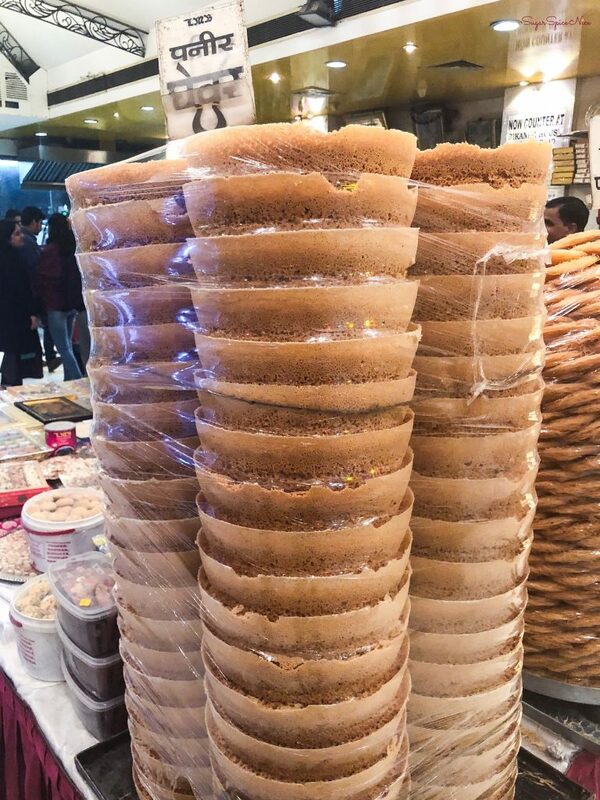 Also don’t forget to pack some of their super famous Paneer Ghevar for home. Another must visit it Tapri. 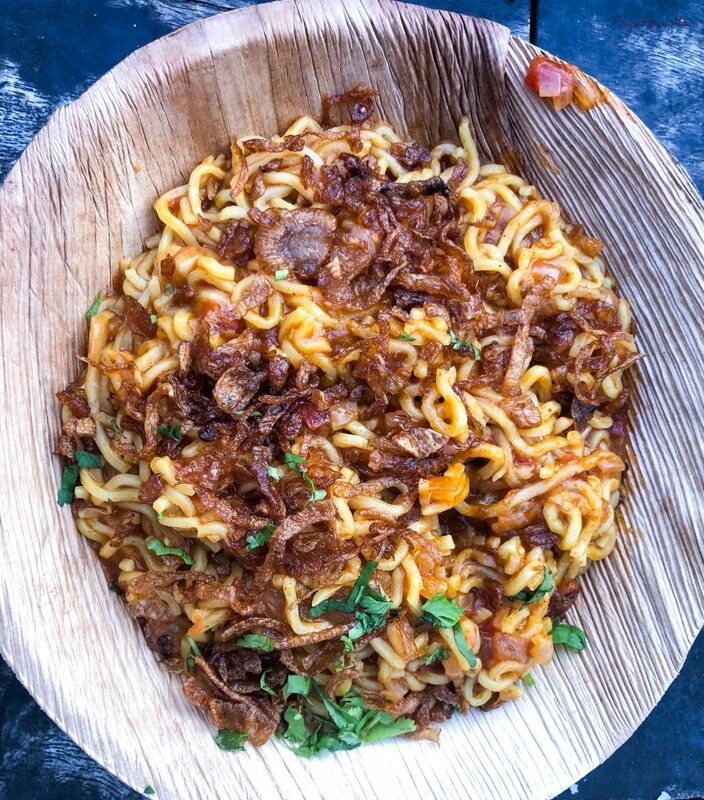 Get here around sunset time and enjoy a nice cutting chai and their tadkewali maggi. 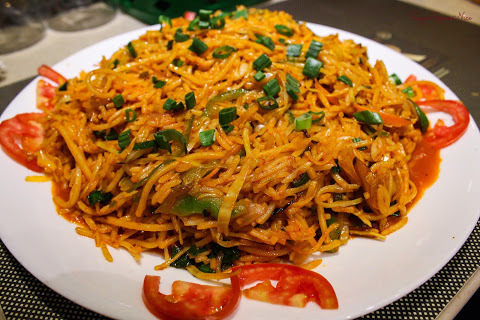 It’s got so much fried onion on top that you will not be able to stop having it! 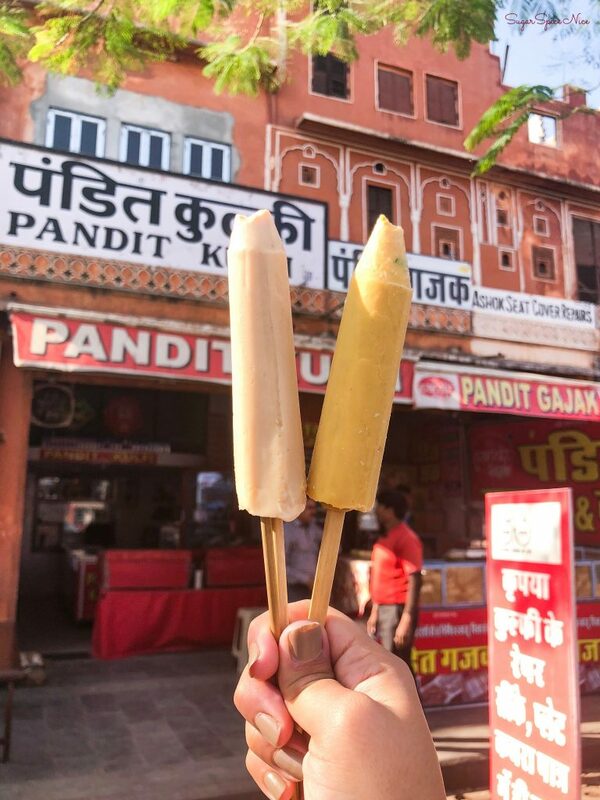 Perfect thing to have on a sunny afternoon is the very famous Pandit Kulfi. 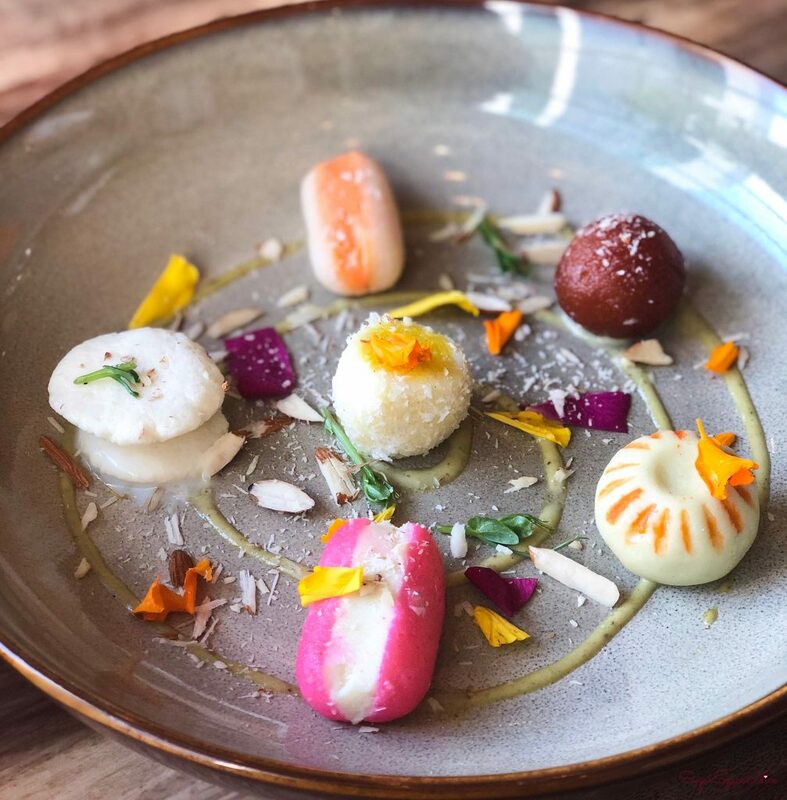 Try Malai Kulfi or Kesar Pista and you won’t be disappointed. 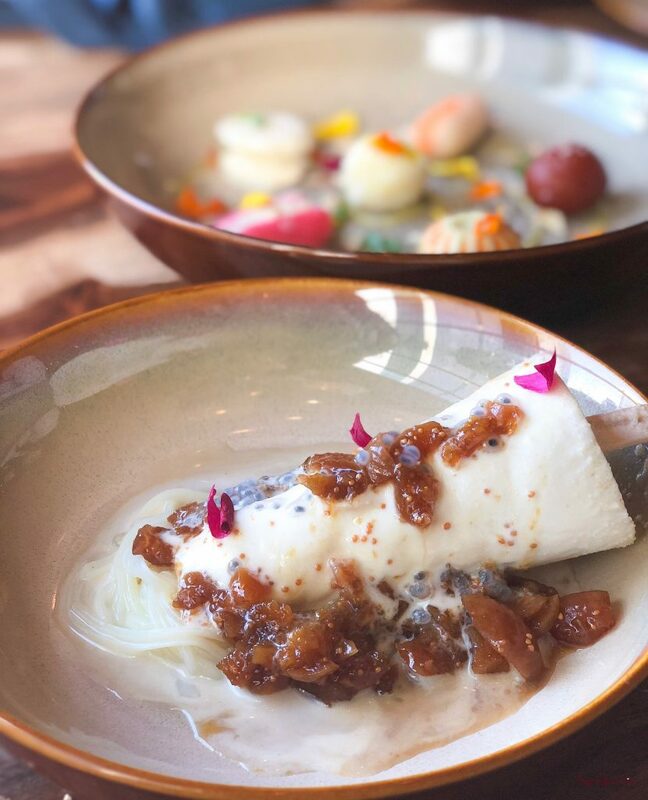 Kulfi not your thing? Don’t worry! 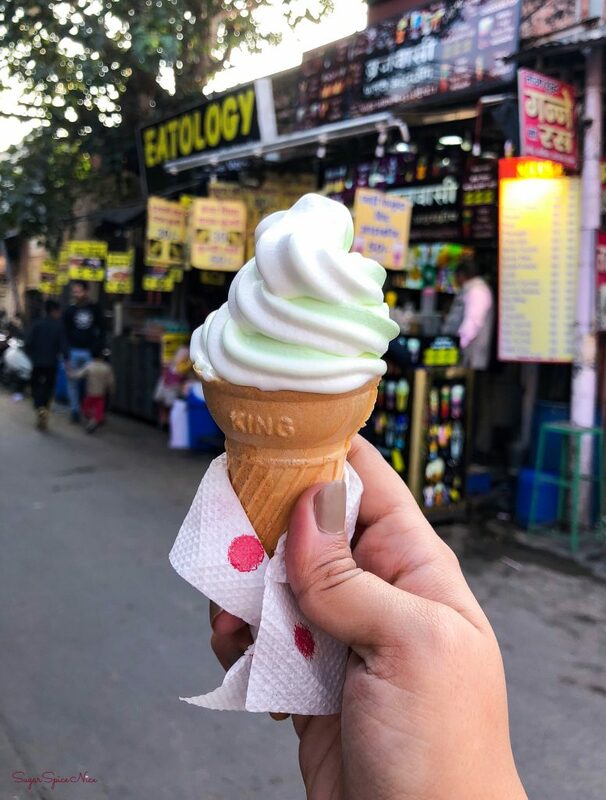 Try the softy ice cream at Guddu. 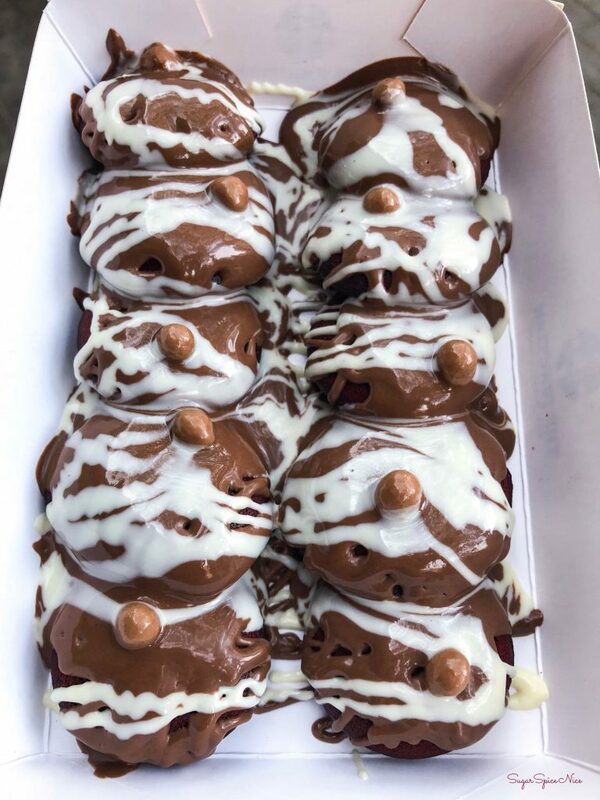 They usually have a flavor of the day which you can try whenever you visit. 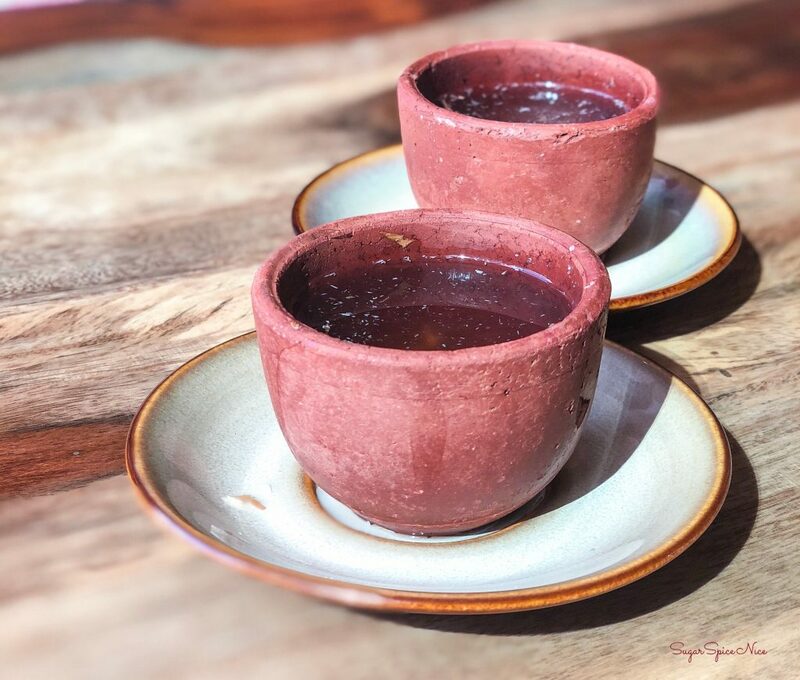 Craving for a hot chai and bun maska instead? 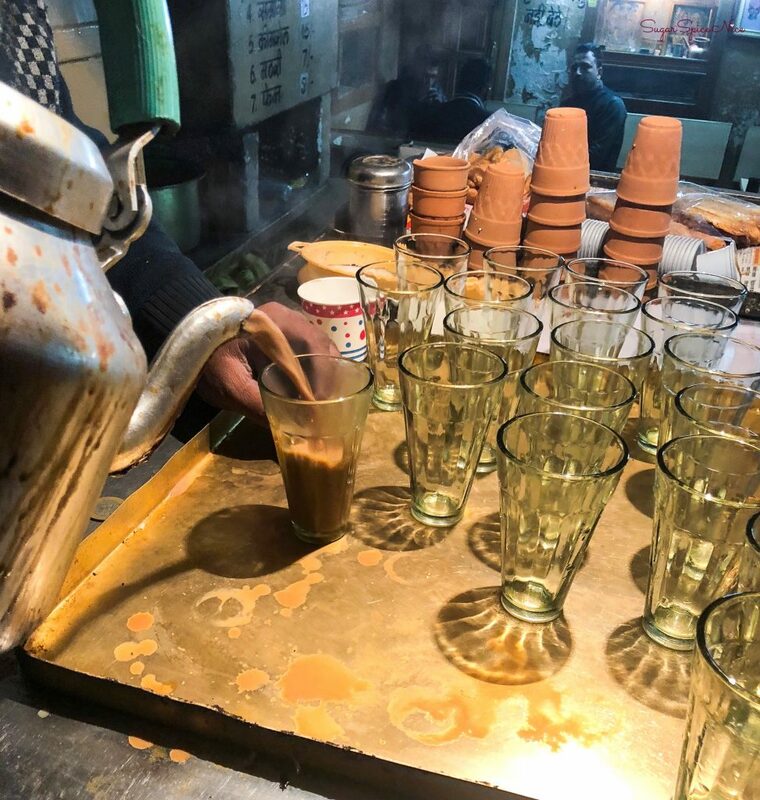 Visit Gulab Ji Chai Wale – one of the oldest chai shops in Jaipur and fulfill your cravings. 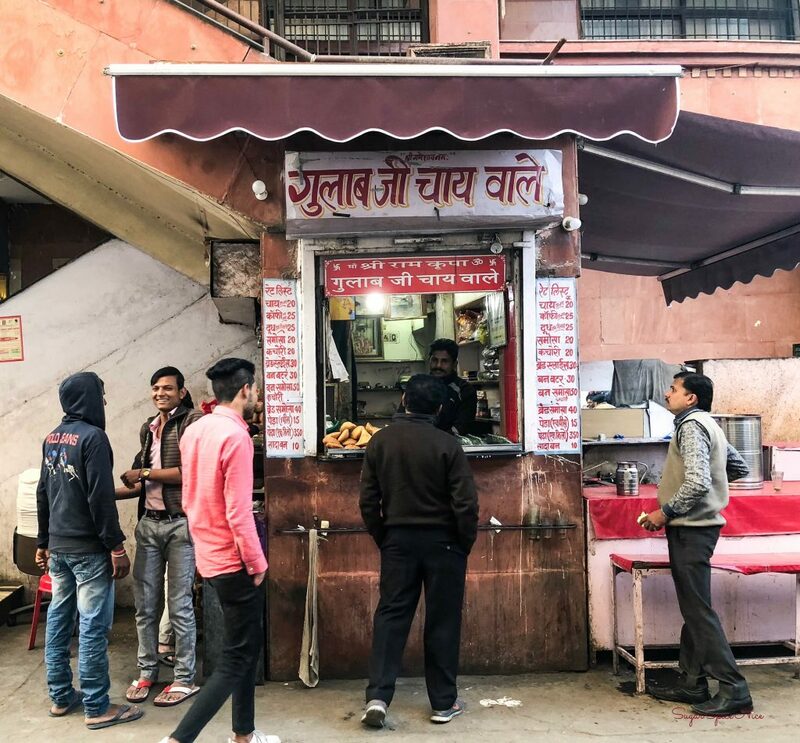 Another one of those old spots in Jaipur – you need to come here and try their masala omlette. 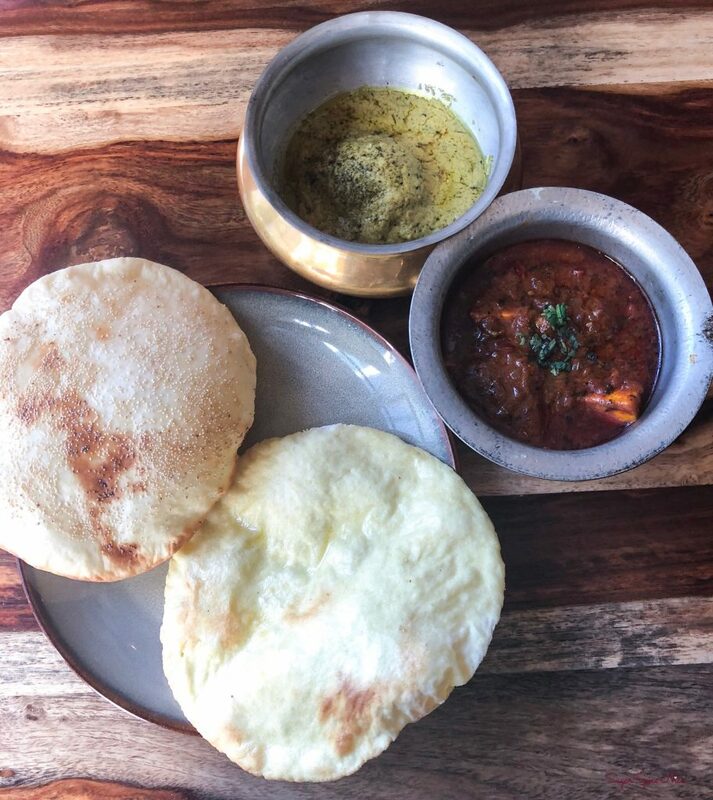 And always ask for extra garlic chutney. 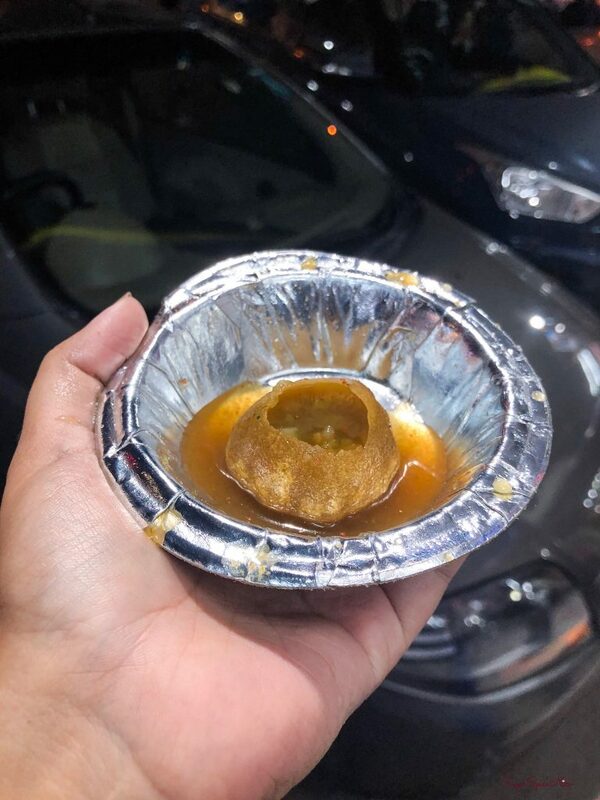 This is one of the best Pani Puri I’ve ever had! 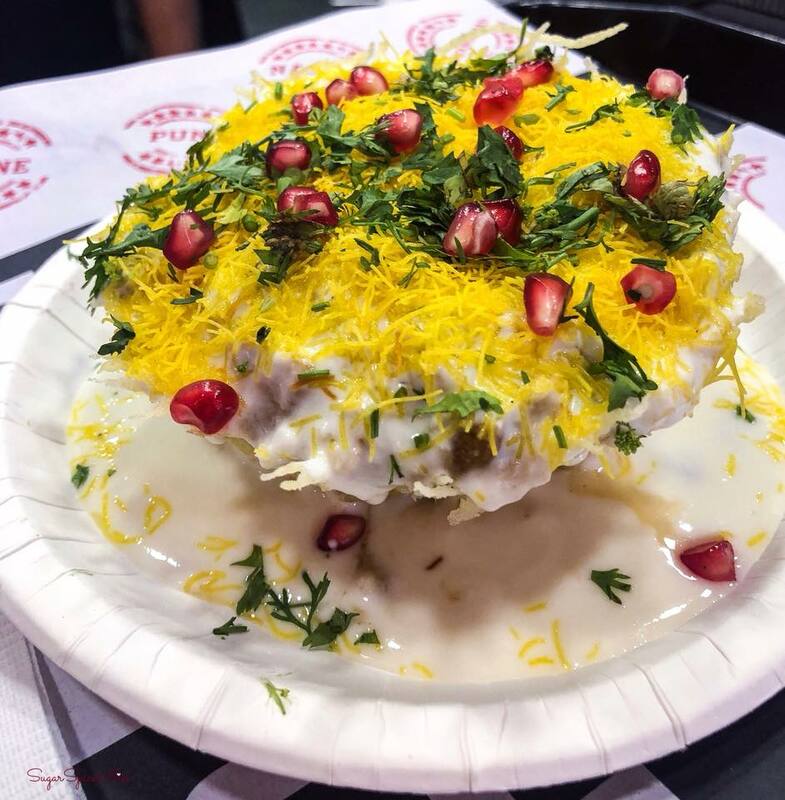 If you love chaat then make sure you visit Nand Chaat Bhandar. This place comes alive at night. 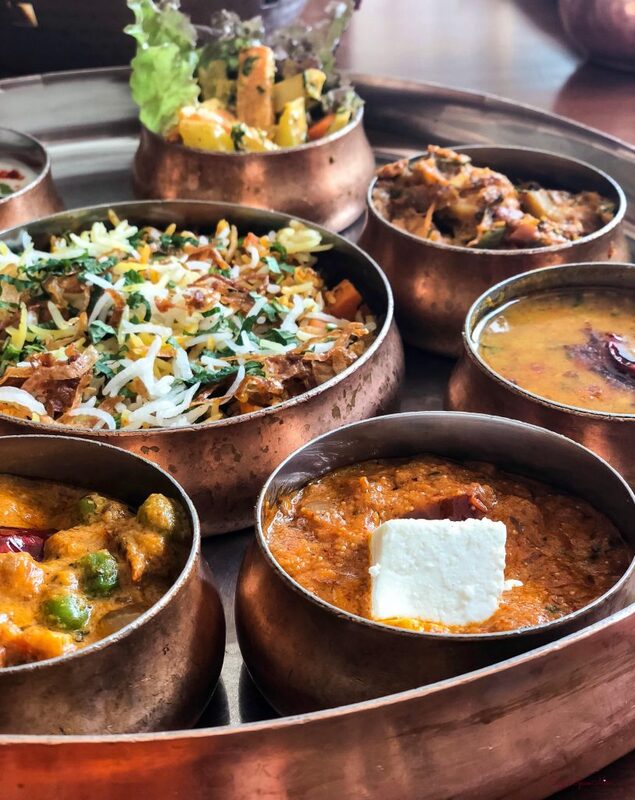 Think Tandoori Paneer, Honey Chilli Potato, Gajar Ka Halwa or even Masala Milk cravings and you can fulfil all of them here! 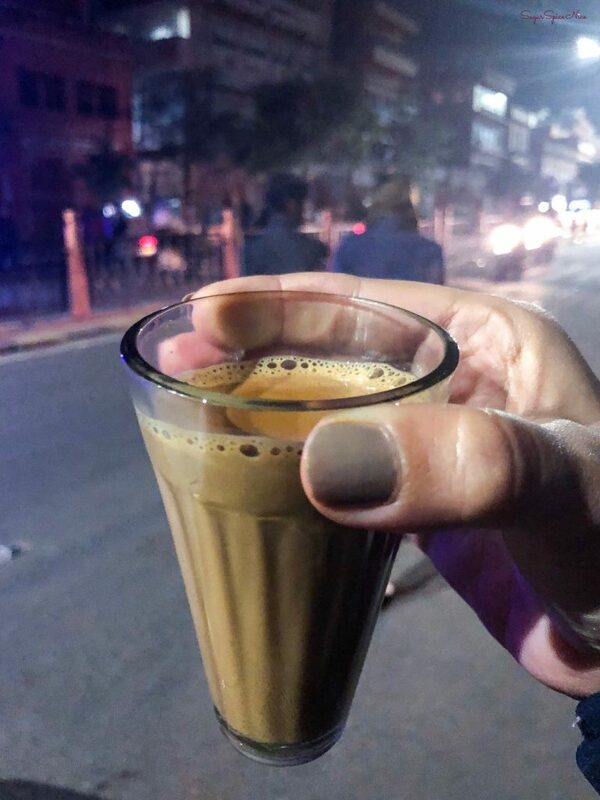 Best to have this in the night when you are trying to battle the cold in Jaipur! 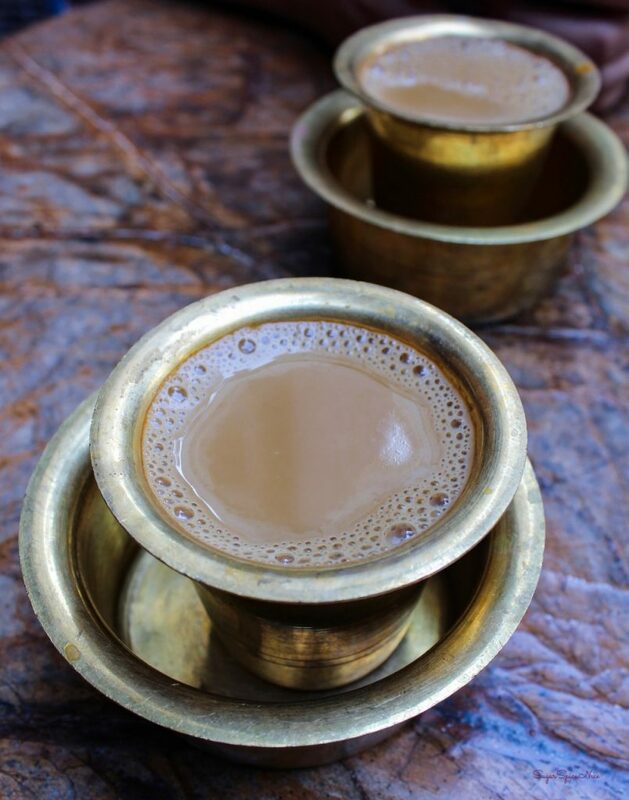 This is one flavorful elaichi chai. 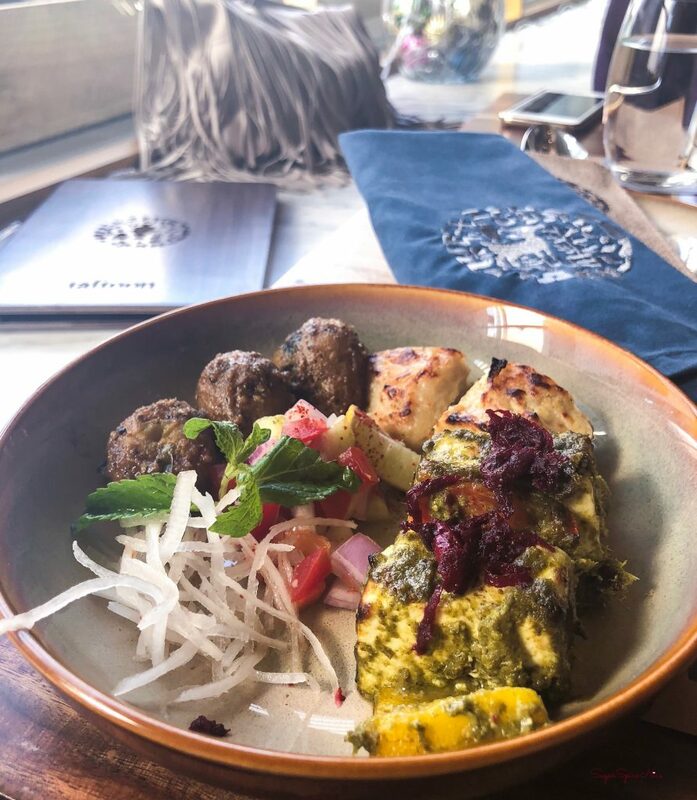 These are my top picks on what you should eat in Jaipur. Hope this was helpful. 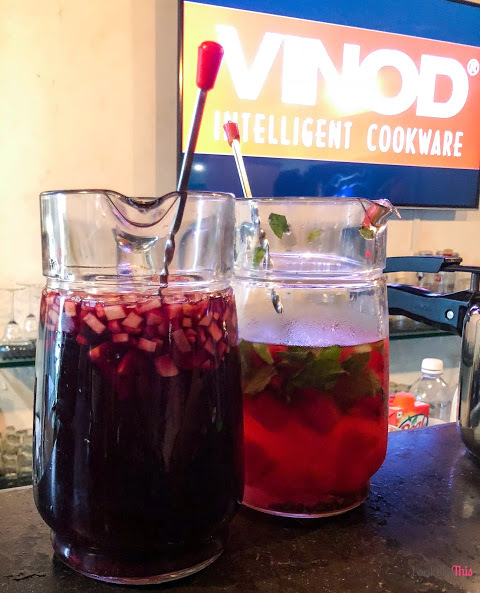 Pi Bar and Kitchen recently opened up in Andheri, Lokhandwala area. 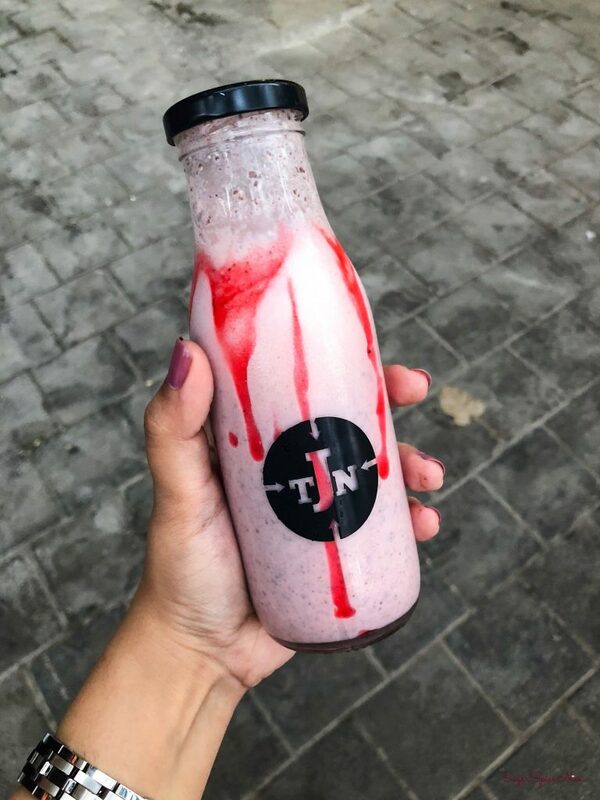 Pi Bar and Kitchen is the second venture by the owners of Pi Pizzeria in Khar. This outlet is a bit bigger and of course, serves delicious Pizza. 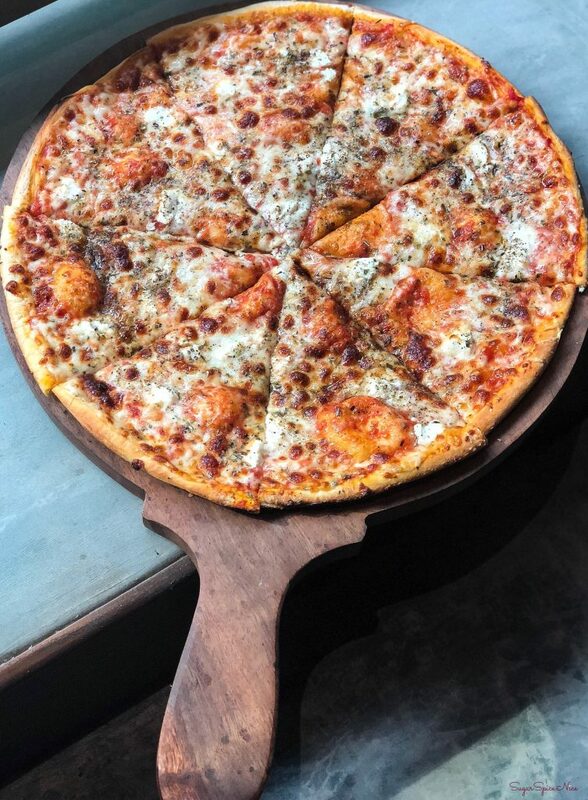 For me, Pi Bar and Kitchen and also Pi Pizzeria is one of the best places to eat Pizza in the city of Mumbai. Their Pizza is gourmet style and very inspired from the English style Pizza and they actually do quite a swell job! 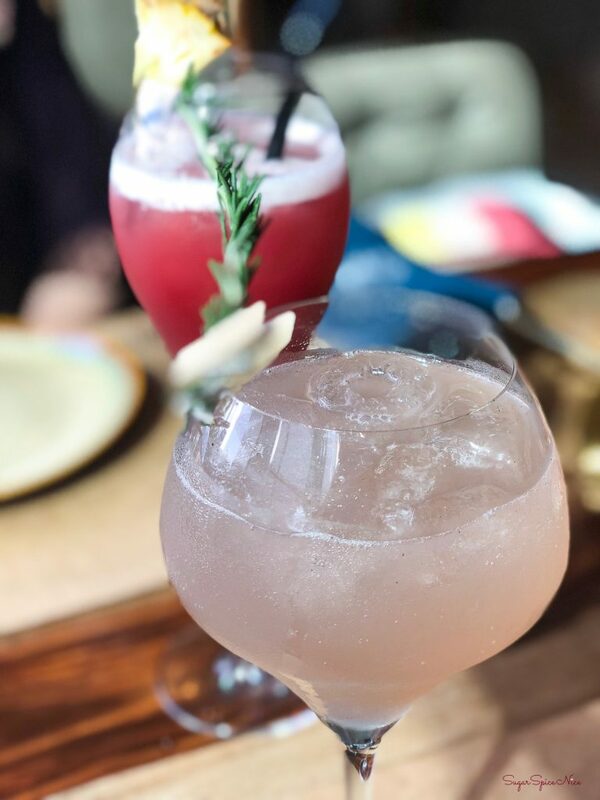 So here’s what I tried at Pi Bar and Kitchen on my last visit. 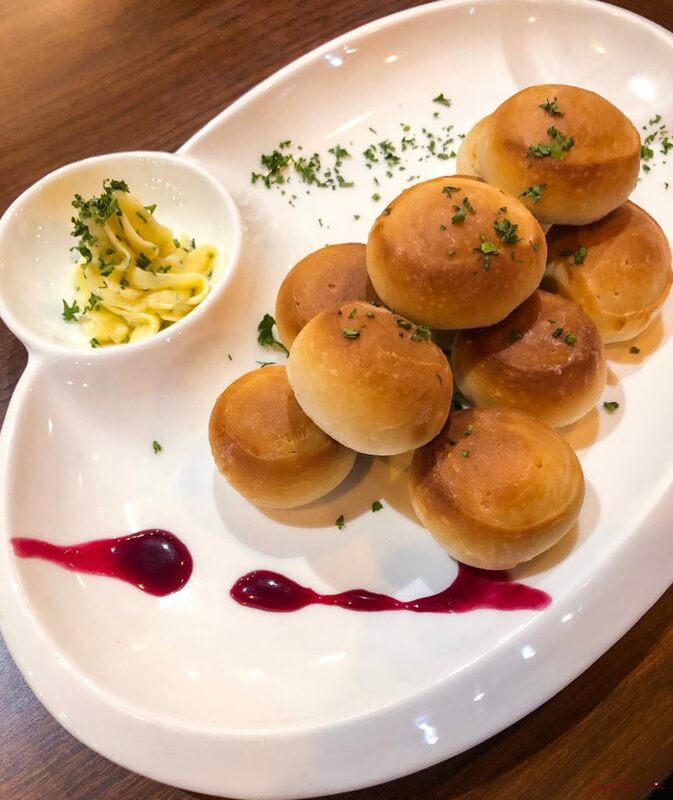 Their Dough Balls are something that I absolutely recommend trying out. Warm and the right kind of soft, and when dipped in garlic butter they can be such a joy. This is the ultimate ‘comfort food’ level Garlic Bread. 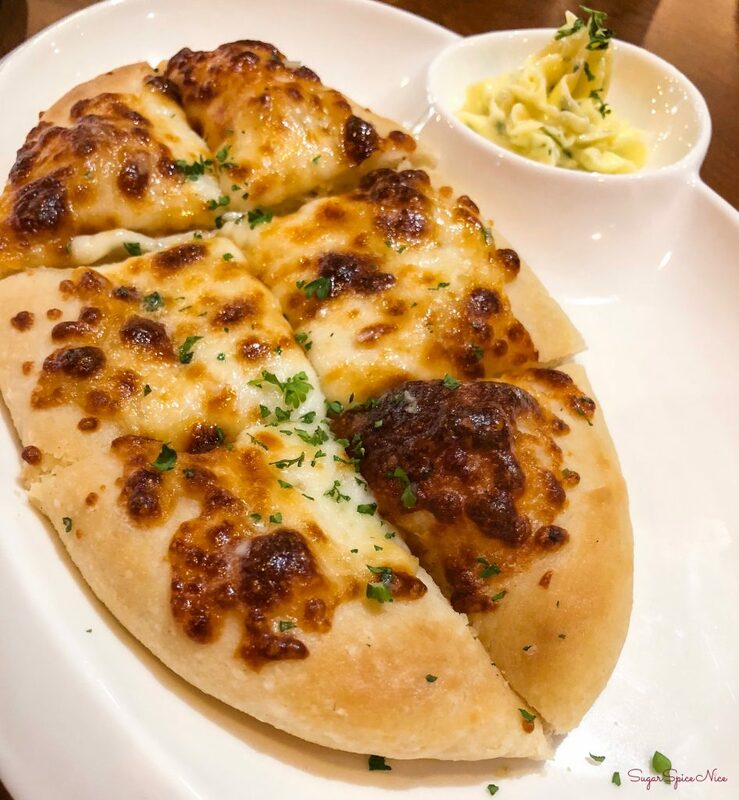 It’s very different than a regular Garlic bread that you find in restaurants – it’s not dry, it’s got a ton of mozzarella and it’s buttered to perfection. 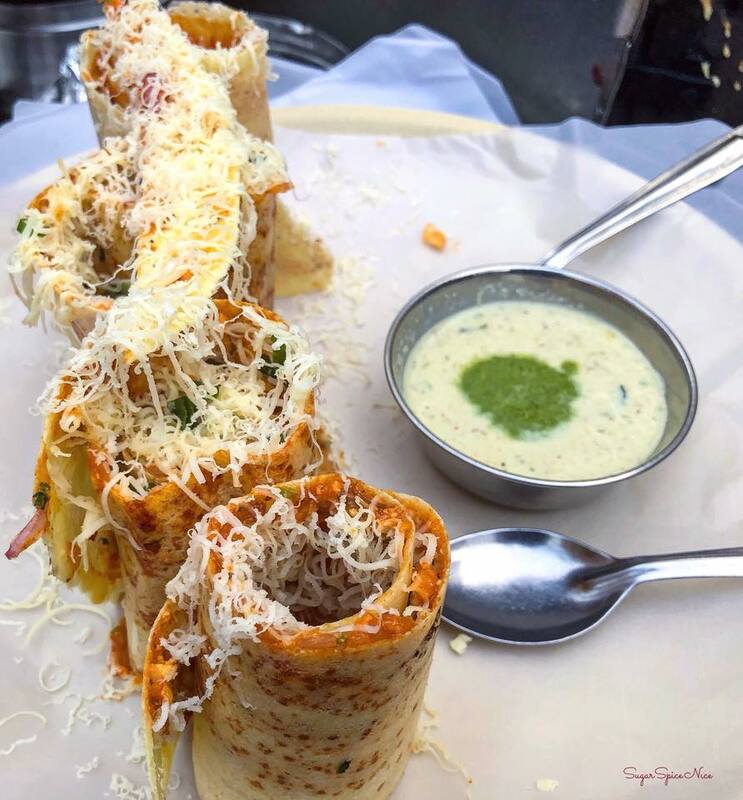 Homemade tortellini pasta stuffed with dry fruits and served with their house dip. 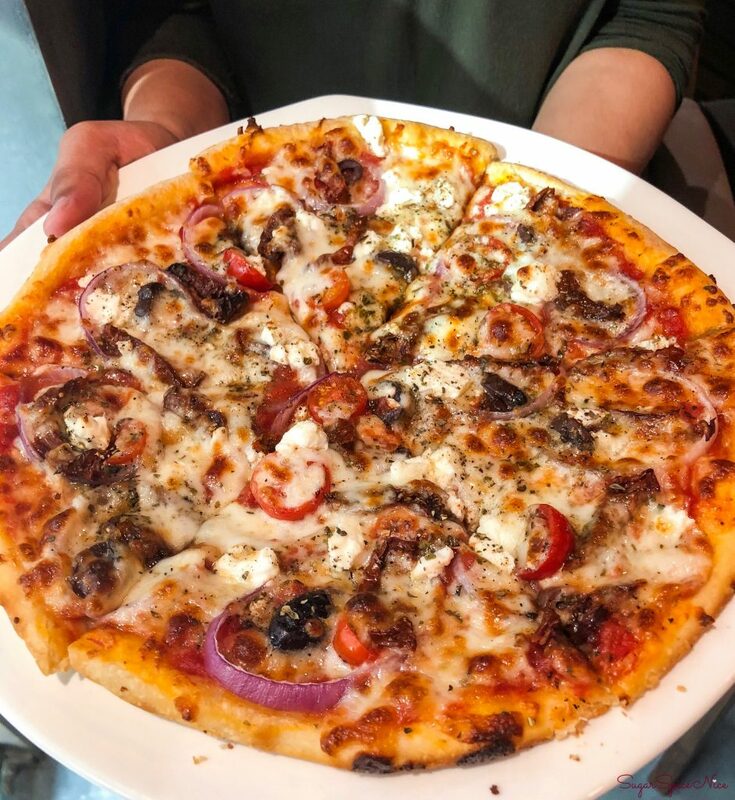 Sun dried tomatoes, onions, cherry tomatoes and Feta Cheese on Pizza. Their version of a 4 cheese Pizza. This one has Mozzarella, Fontal, Parmesan, Feta cheese. 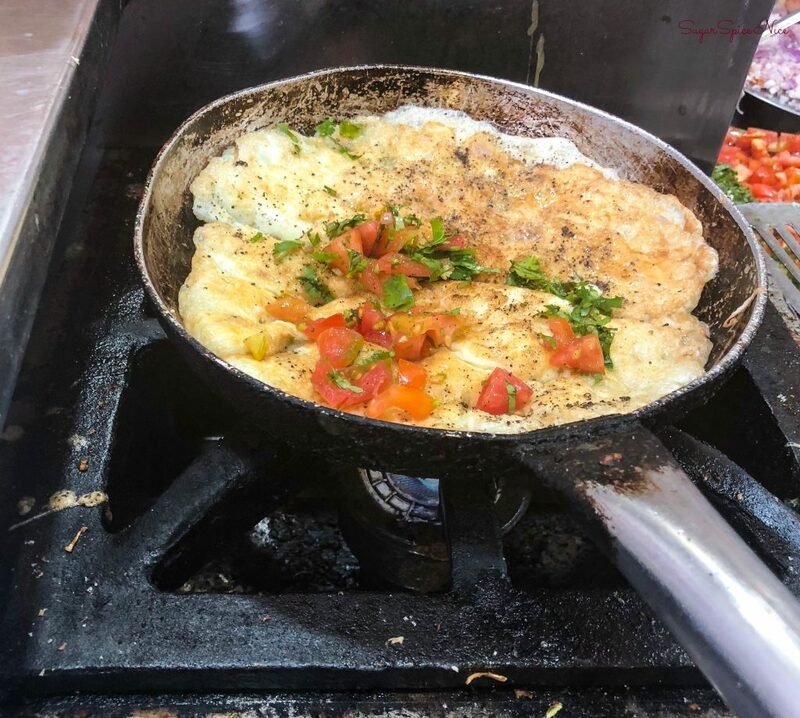 Basic – Garlic, Basil and onions. 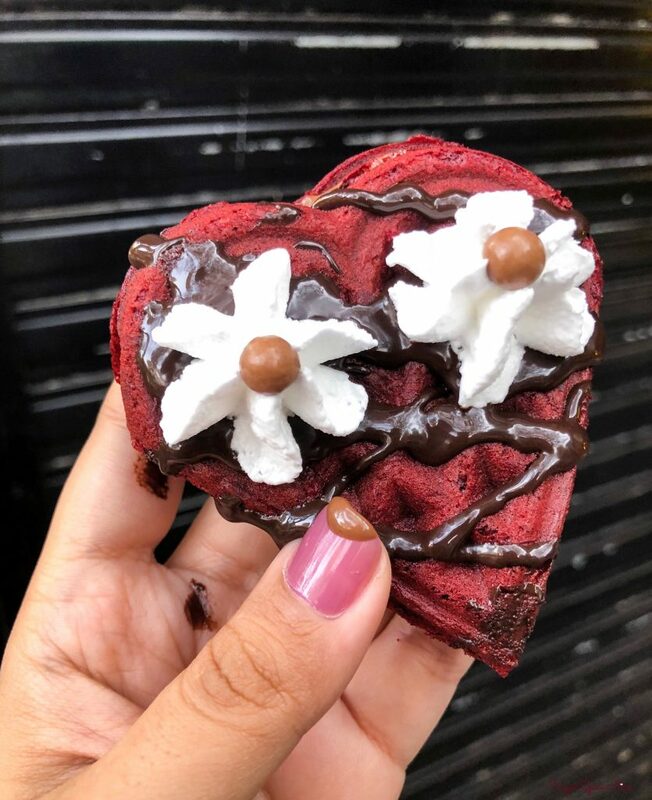 But so delicious! And their pizza sauce is exceptional – the right flavor! They do get their Pizza Base right. 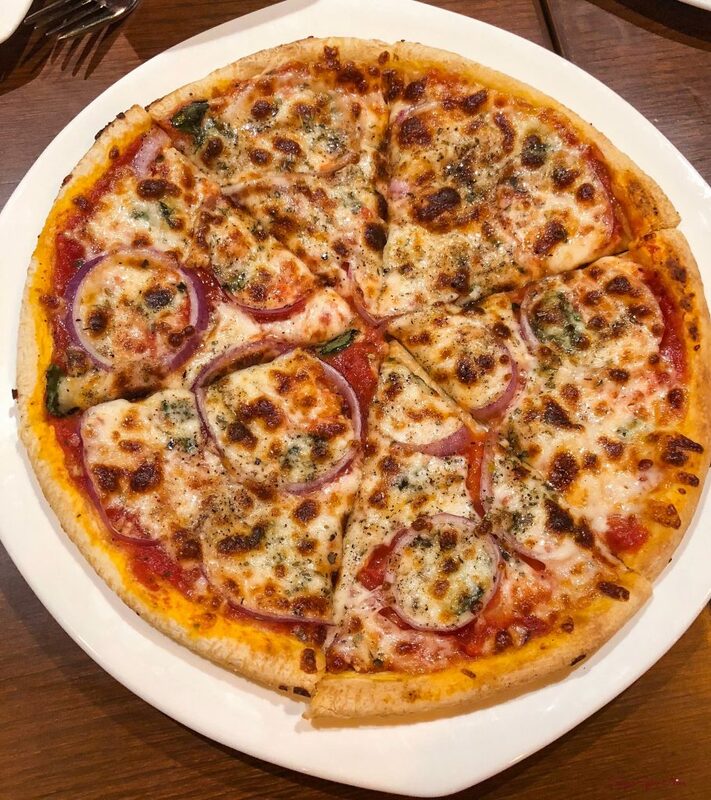 It’s not too marshy like authentic Pizza, neither is it too crispy. 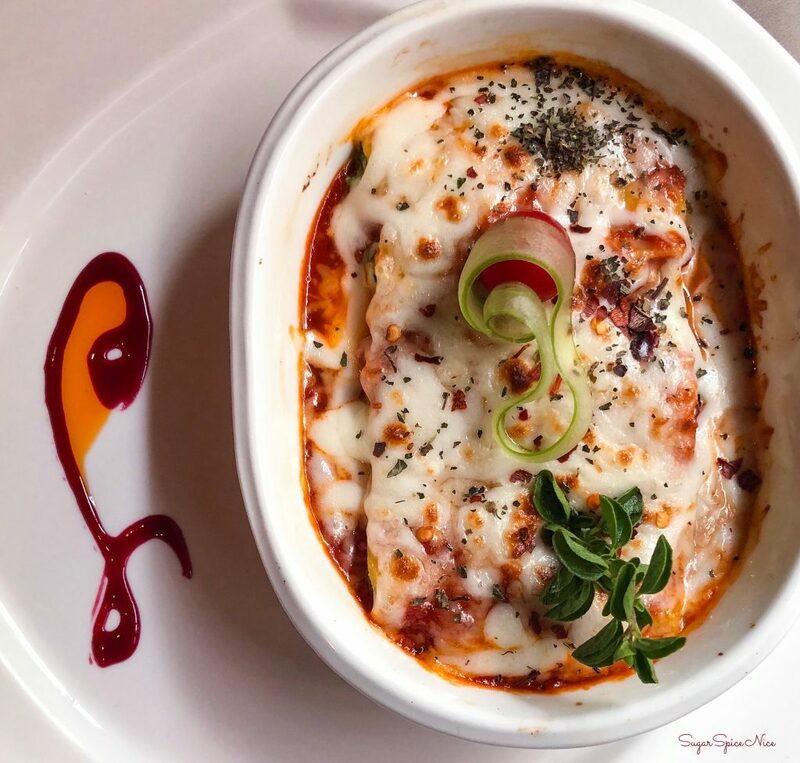 Lots of marinara sauce, lots of mozzarella cheese and delicious flavor of Ricotta – absolutely loved the Caneloni. 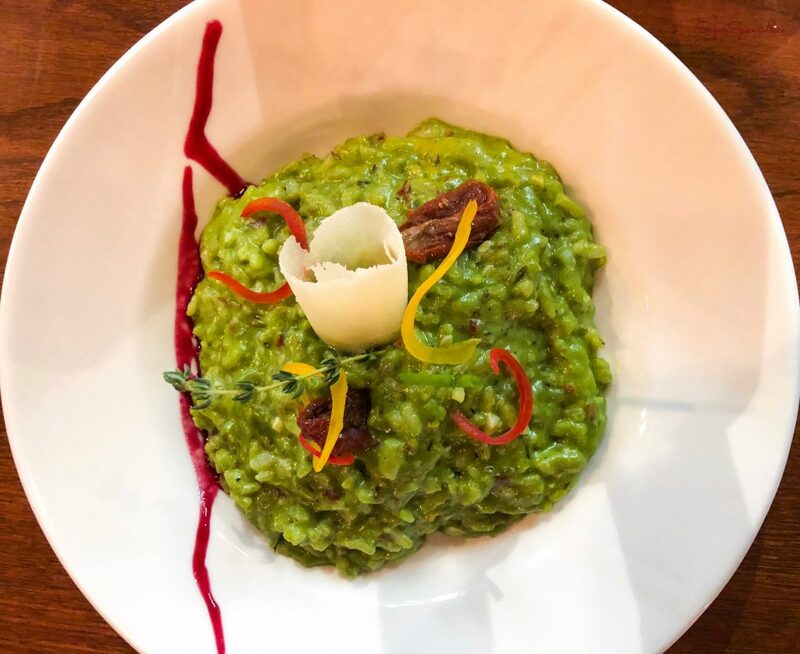 This had an amazing flavor from the asparagus puree and sundried tomatoes. 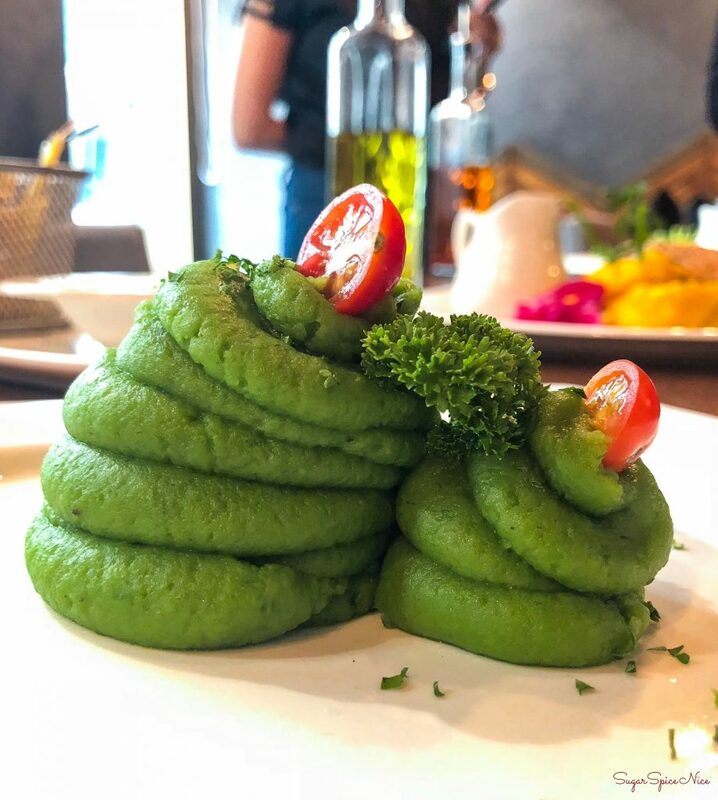 Never tried Spinach flavored Mash potatoes before – these were equally buttery as other mash potatoes and you get a hint of spinach as an aftertaste. 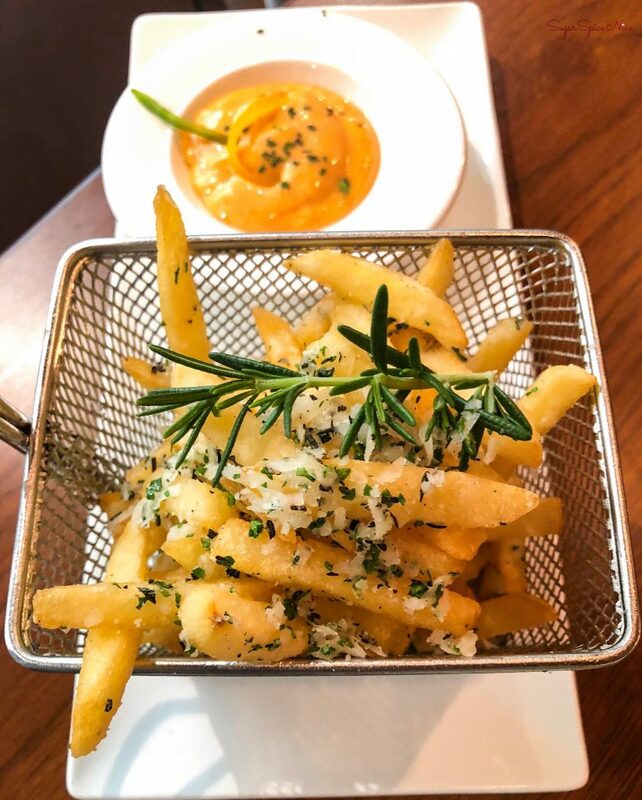 Hot, crunchy fries! They did have an apparent Truffle flavor. 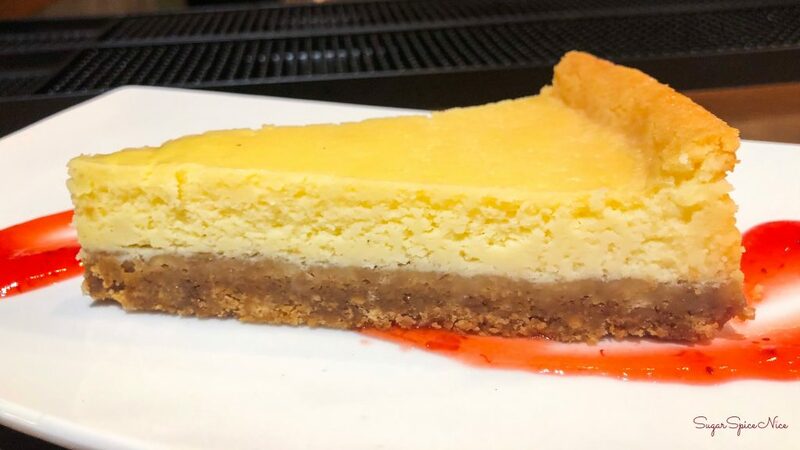 The cheesecake is really good and definitely does not over do the creaminess. 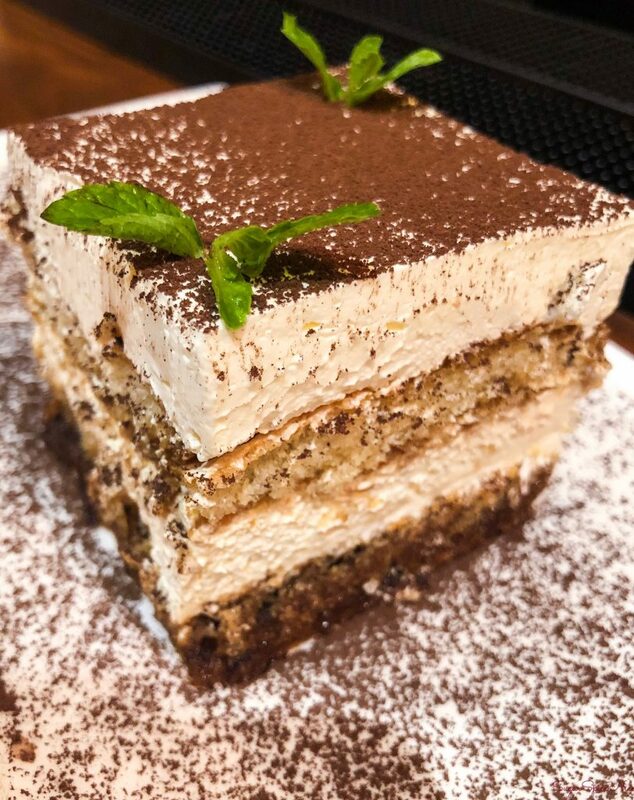 Probably one of the best Tiramisu in the city, this is something that you need to try here. It’s perfectly moist, the right amount of coffee and so creamy. 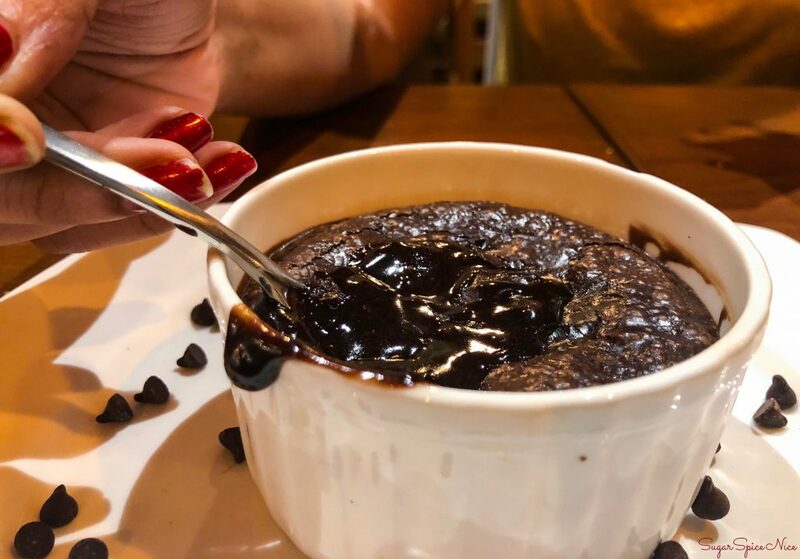 Served warm, this one is a good indulgence for chocolate lovers. If you love a ginger flavored drink then this one is amazing. 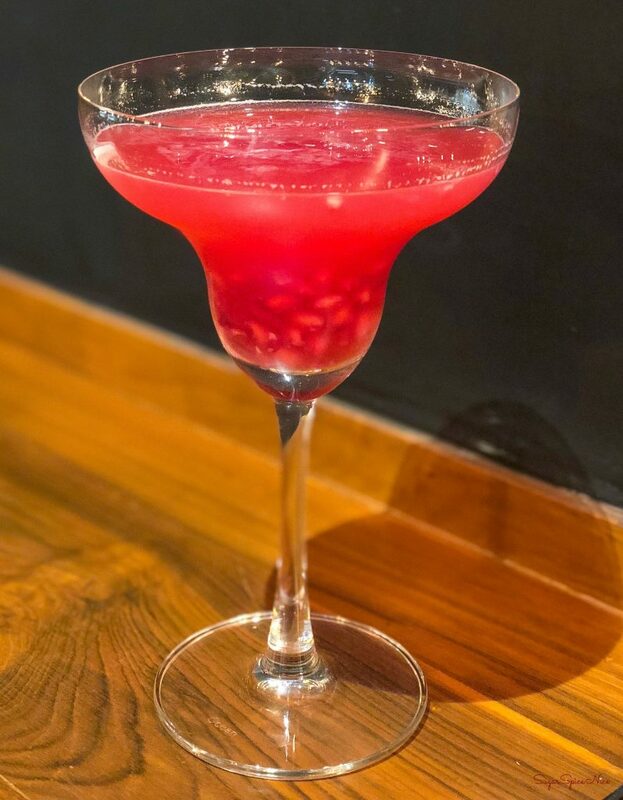 It also has that sweetness from Pomegranate. Very light and refreshing. 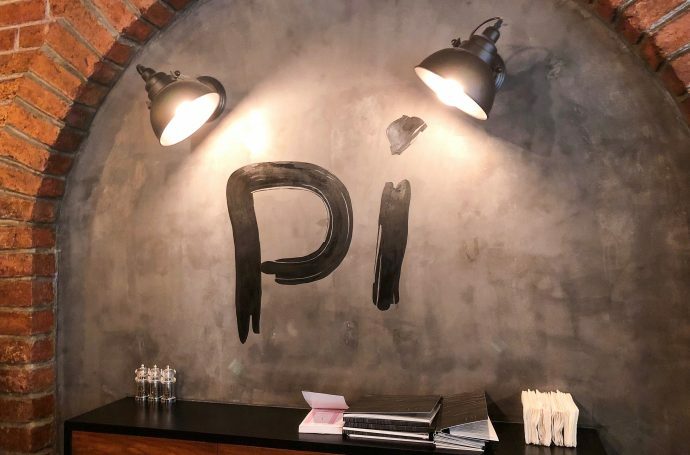 I highly recommend trying out Pi Bar and Kitchen. 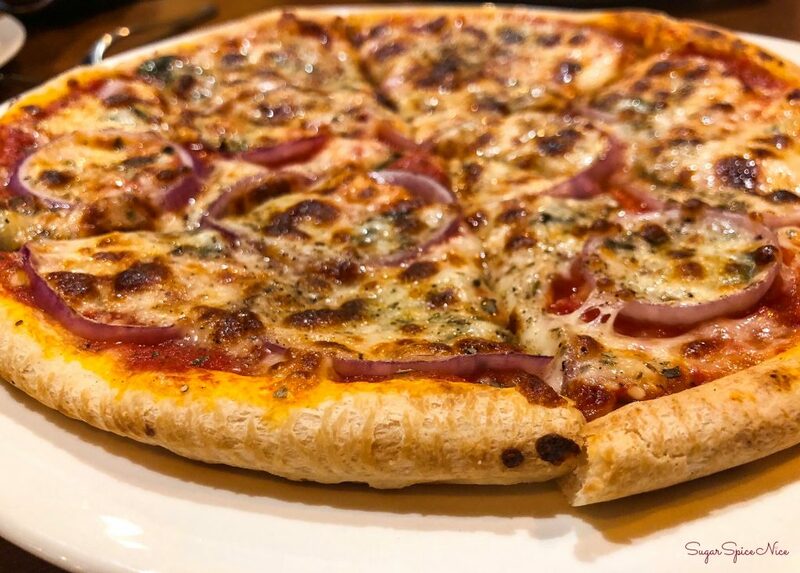 It’s one of my favorite places to relish gourmet Pizza and of course Tiramisu. 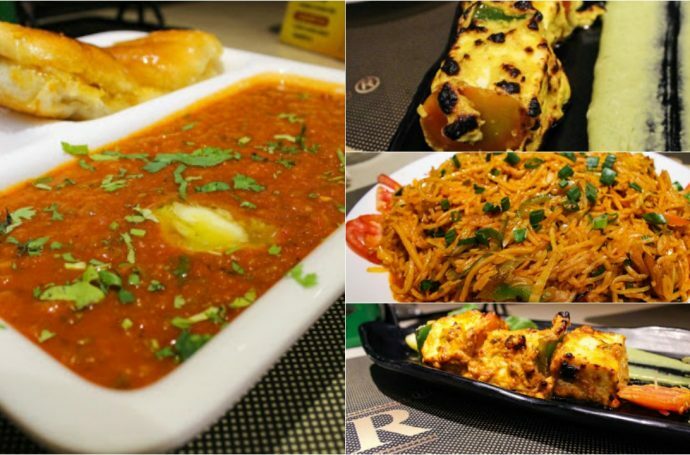 Shiv Sagar at Kamala Mills is the newest one in town. All through college, Shiv Sagar at Churchgate used to be a common haunt. And I do have a lot of things that I love from their menu. The newest outlet of Shiv Sagar at Kamala Mills is quite spacious. They have 2 levels of seating area and the upper section actually is even rented out for private parties and gatherings. 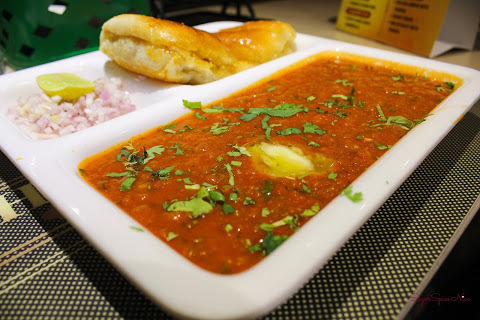 Any visit to Shiv Sagar is incomplete without indulging in their delicious Pav Bhaji. Everyone has their favorite ones in the city, and this does feature in one of mine. 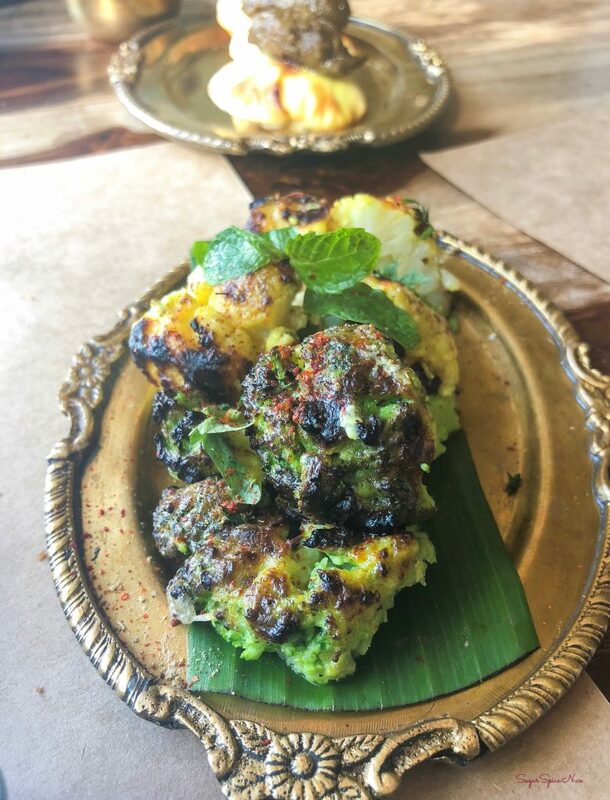 Their Bhaji is n’t too spicy – in fact it is the right kind of flavor and the Pavs are buttered to perfection. 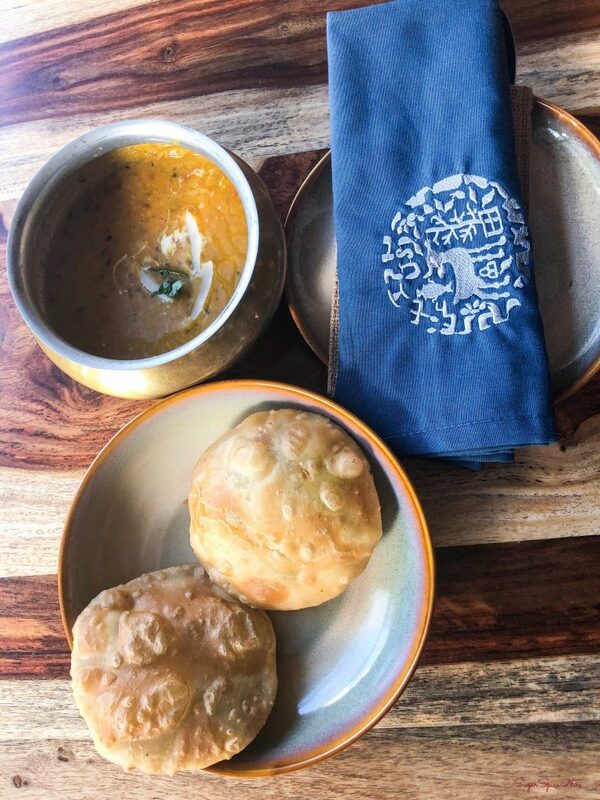 This is a new addition which is part of their specials menu called KamalaKaHamla. 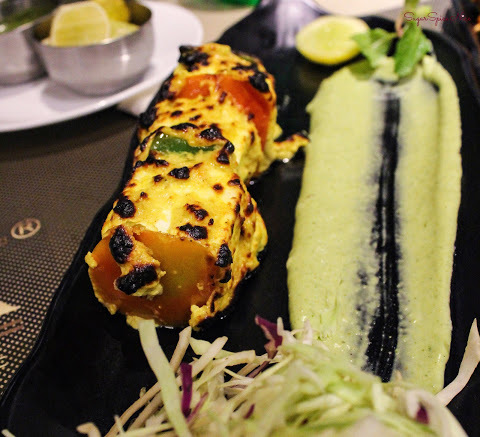 It’s a deliciously soft Paneer Tikka starter. 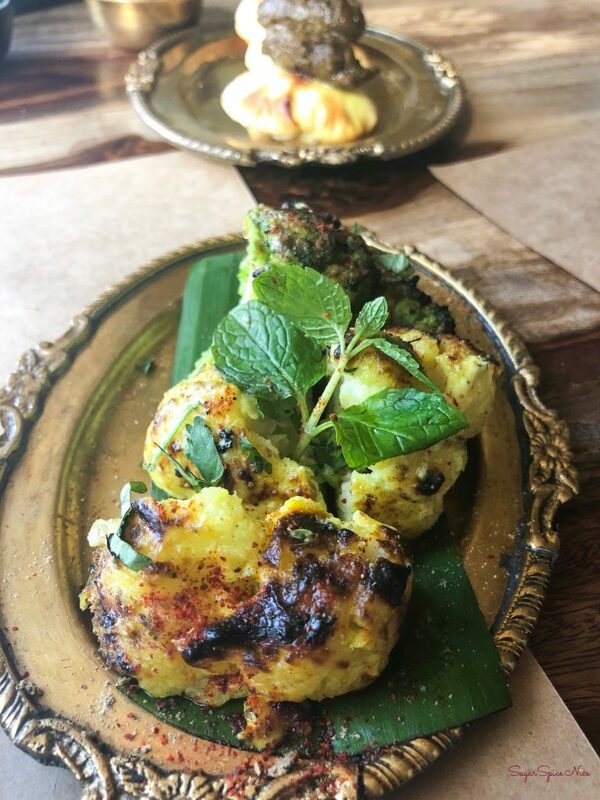 Another one from their KamlaKaHamla menu, this one is a tad bit different than a regular Paneer Tikka – it has a khatta-meetha kind of flavor and is actually quite an interesting dish. 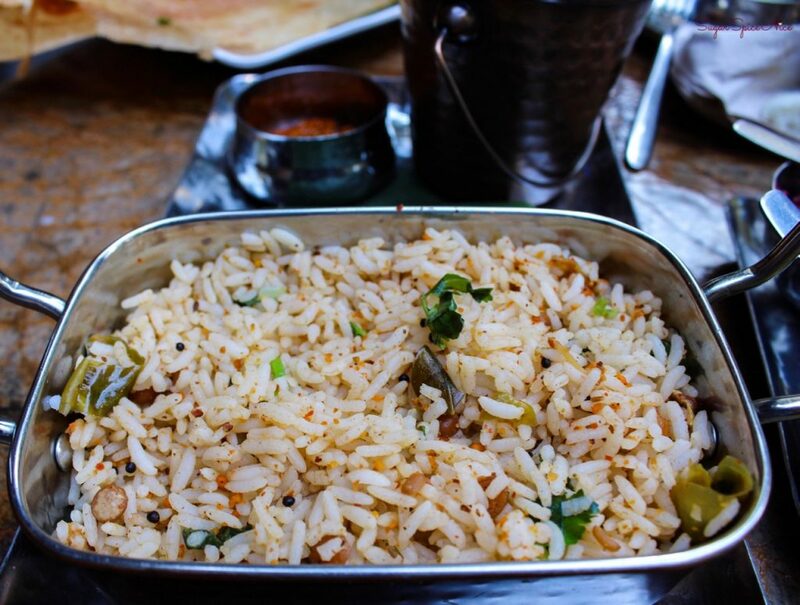 I also indulged in their Triple Schezwan Rice which comes in a ton of quantity. 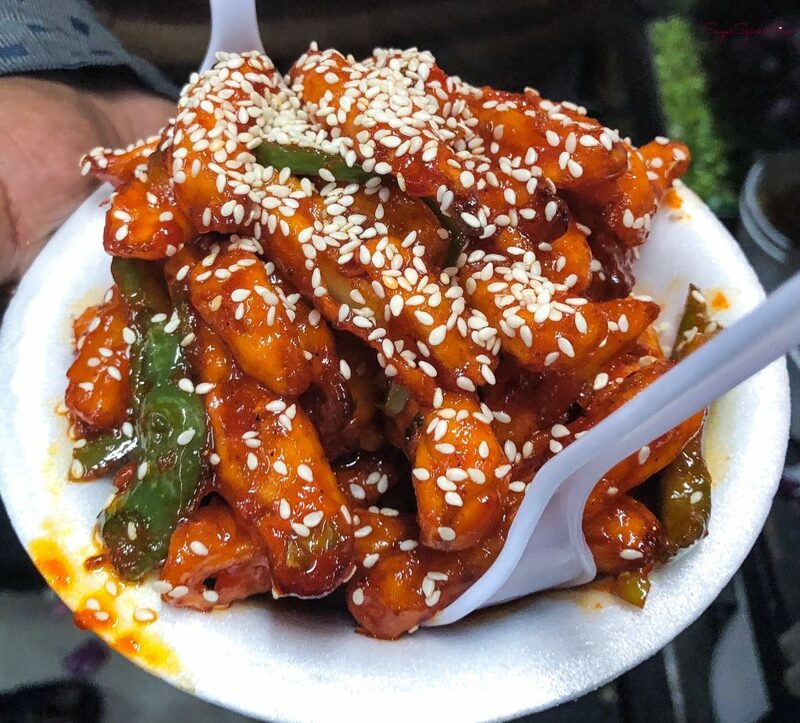 It is fairly good and if you like Indian Chinese then you will enjoy this. 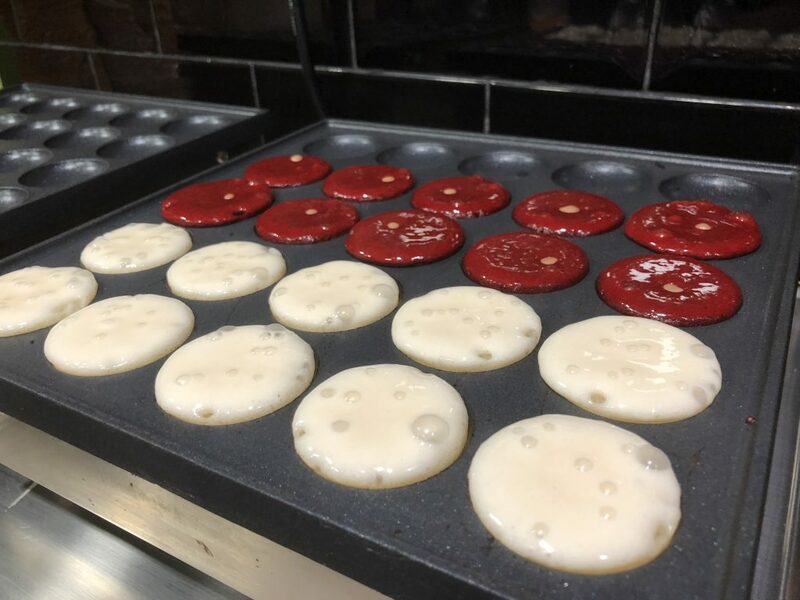 I also like their South Indian fare including idlis, dosas and uttapams. They even have decent subzi roti. 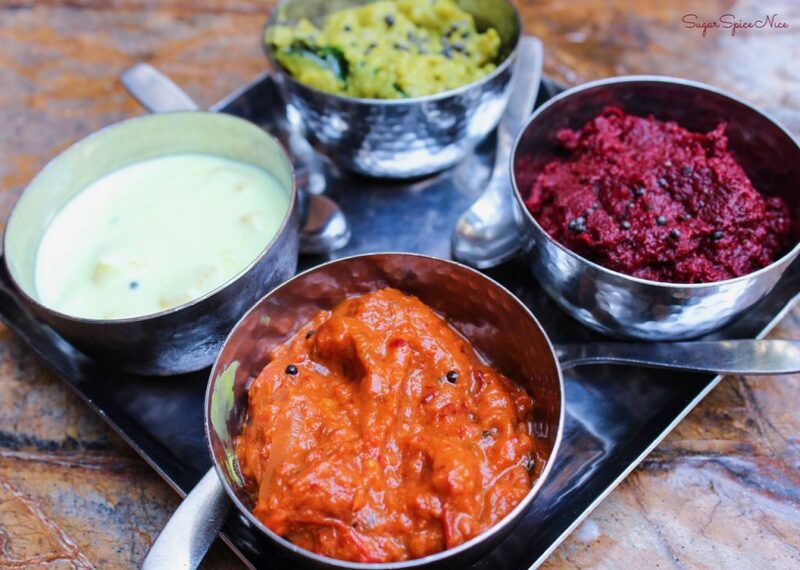 It’s a good place if you are looking for a multi-cuisine, vegetarian, mid-range restaurant in Lower Parel. That was it from my visit to Shiv Sagar. I hope this review was helpful. 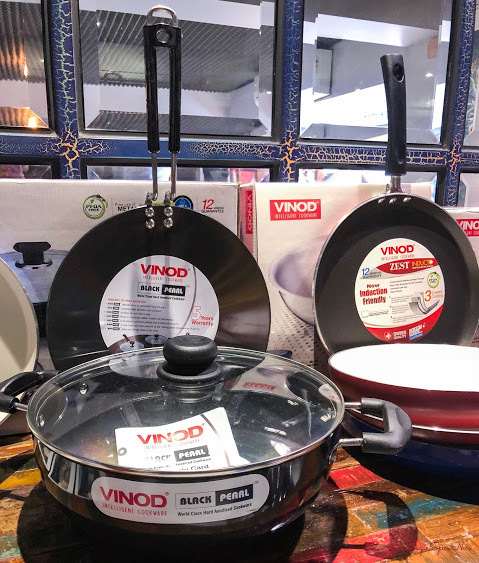 Stay tuned for more reviews and videos. 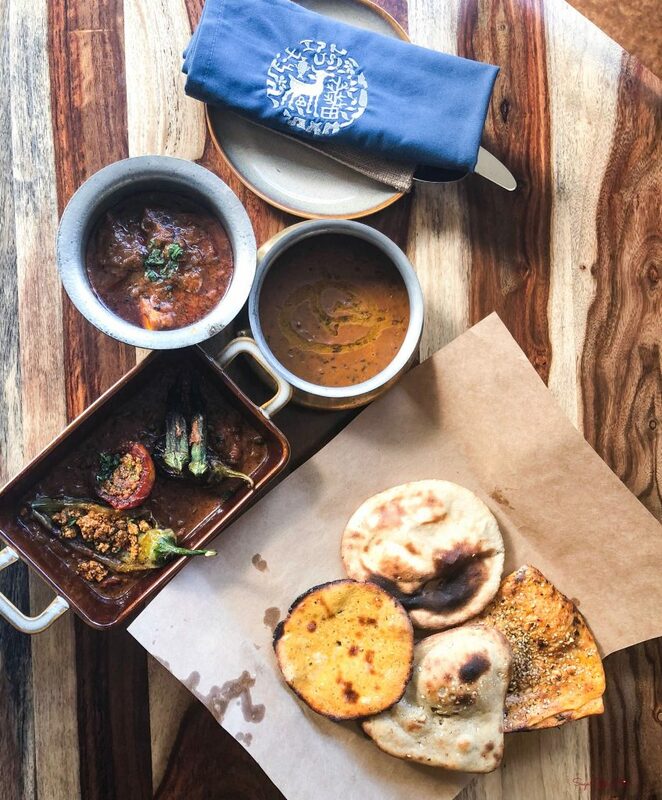 Madras Diaries recently opened in Bandra and offers some traditional South Indian delicacies and also some interesting specials. 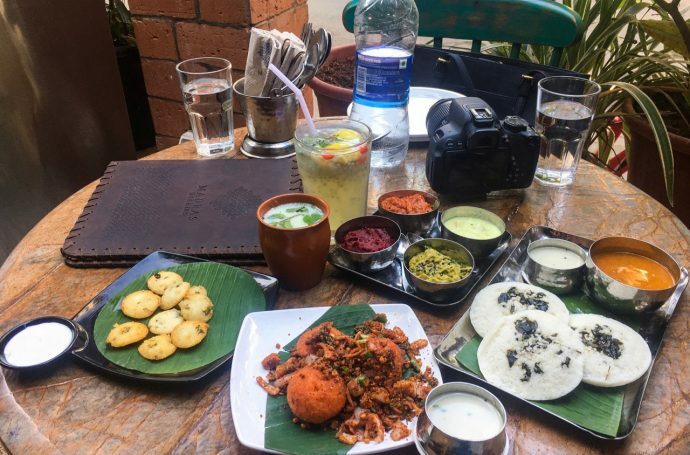 Chilled out vibe and good food is how I describe my experience at Madras Diaries. Check out this video from my visit there. 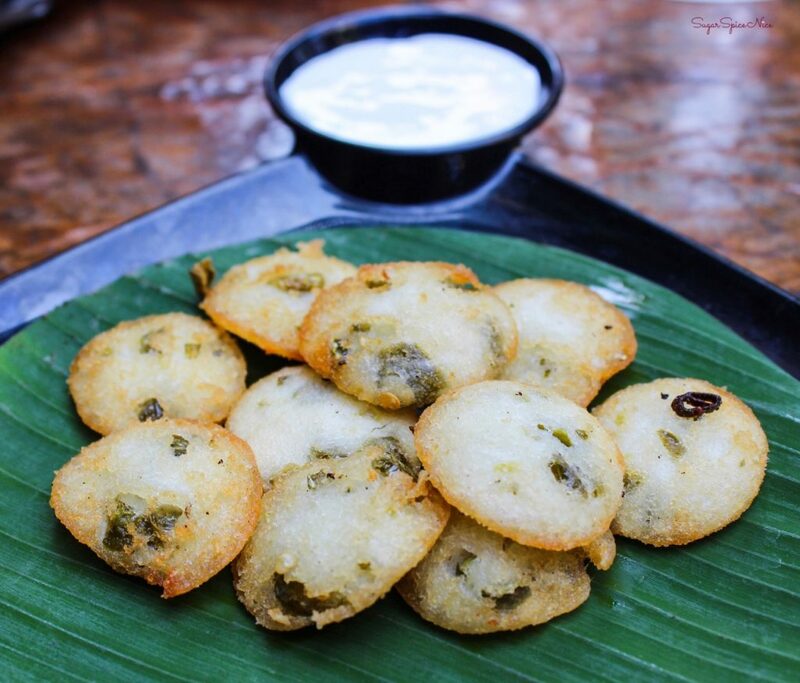 Fried mini idlis with bits of jalapeno. 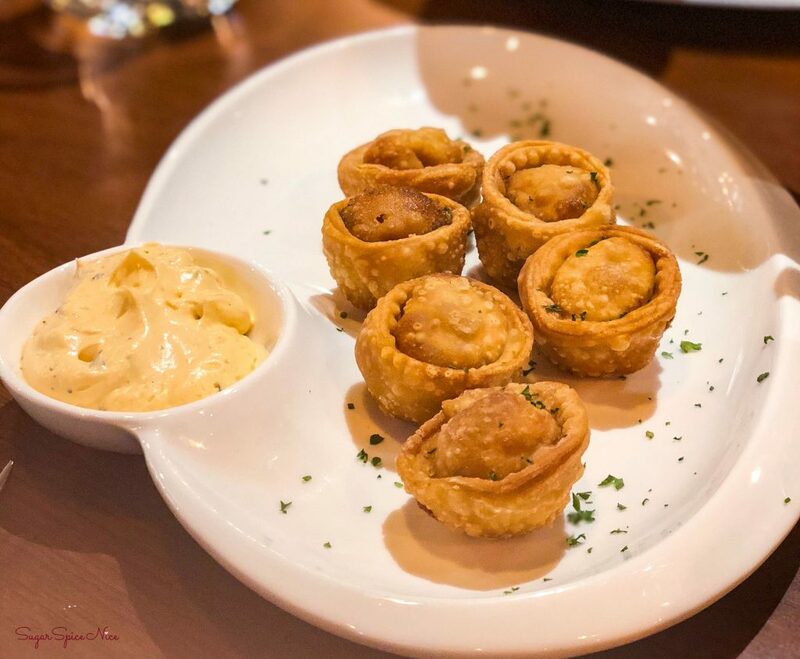 These were served with a cheesy dip. 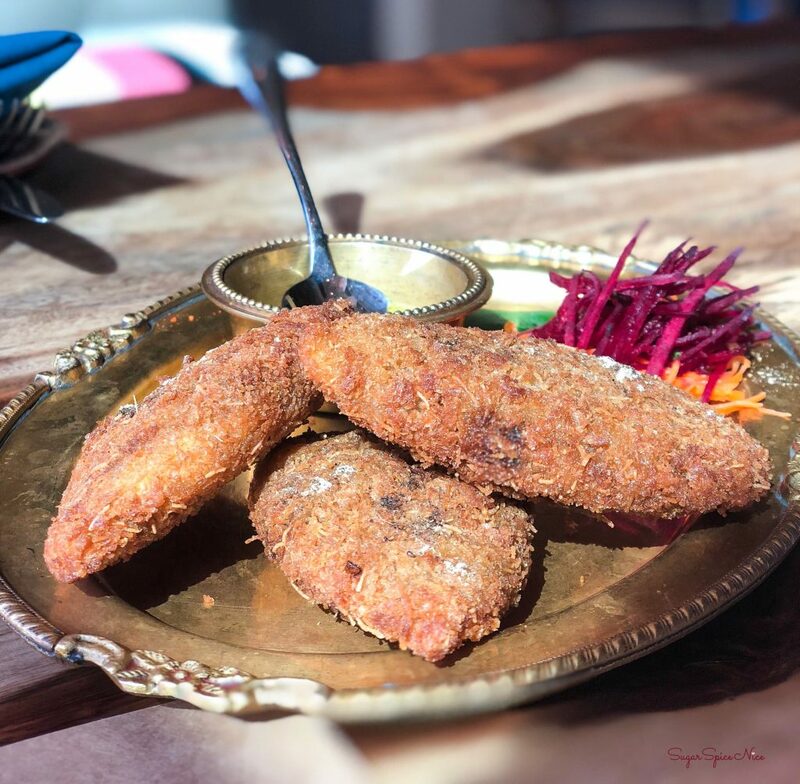 The idlis were fried to perfection – perfectly crunchy and the jalapeno bits did add a little edgy flavor. 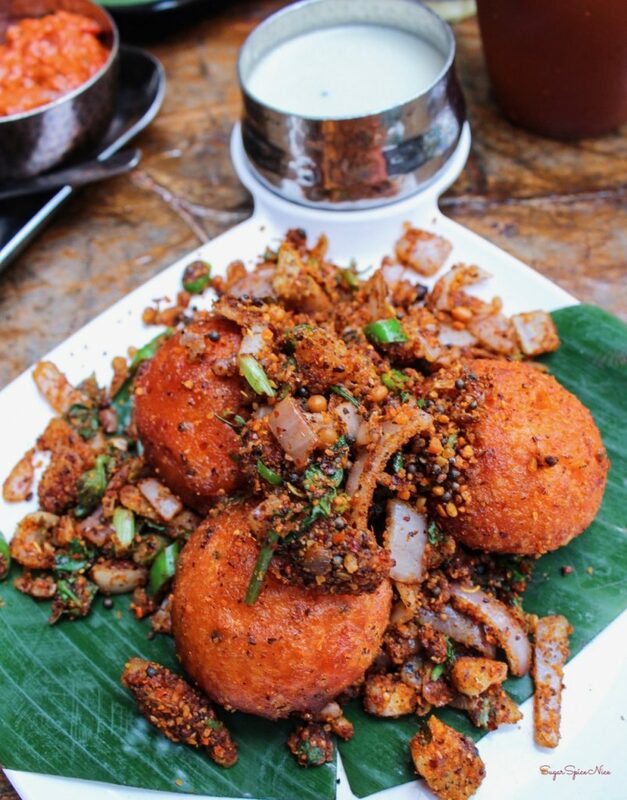 Paniyarams tossed with onion, chillies and molga podi. So this was extremely spicy because there was tonnes of molga podi. But it was quite delicious. 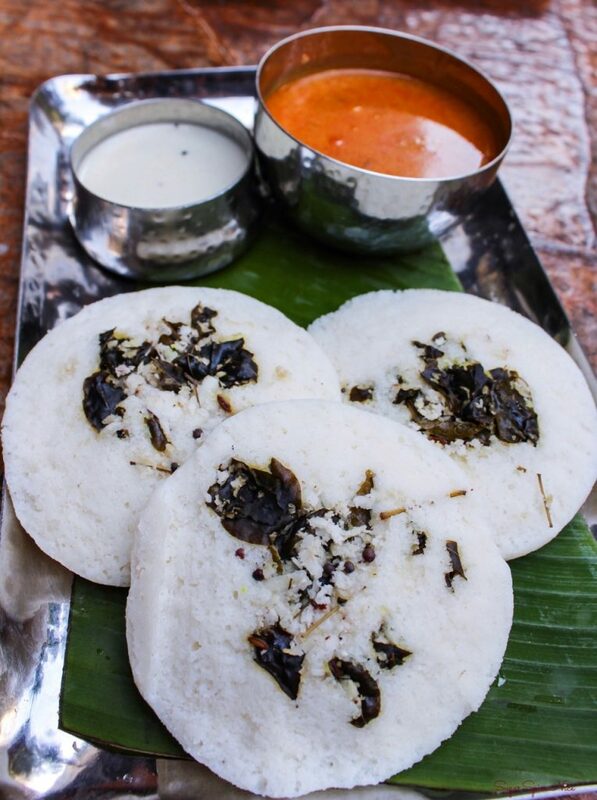 Made with 9 different grains, these idlis honestly felt almost as soft as regular idlis. And they had a little tadka in the centre – curry leaves, mustard seeds, cumin seeds. This tasted quite amazing with the sambhar. Served with pickle and rice papad, this is one of the tastiest Puliyogare I’ve tried. Such a pronounced tamarind flavor. Absolutely must order this. 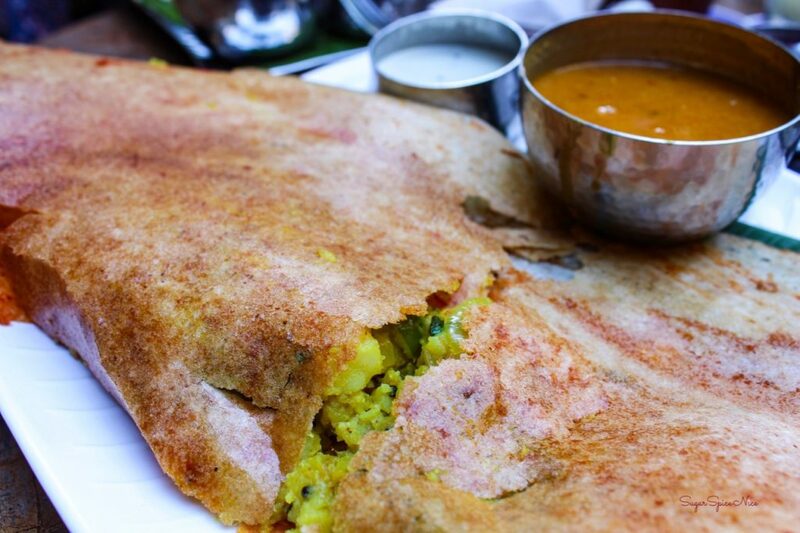 A huge, crispy dosa stuffed with potato and a spicy garlic chutney. 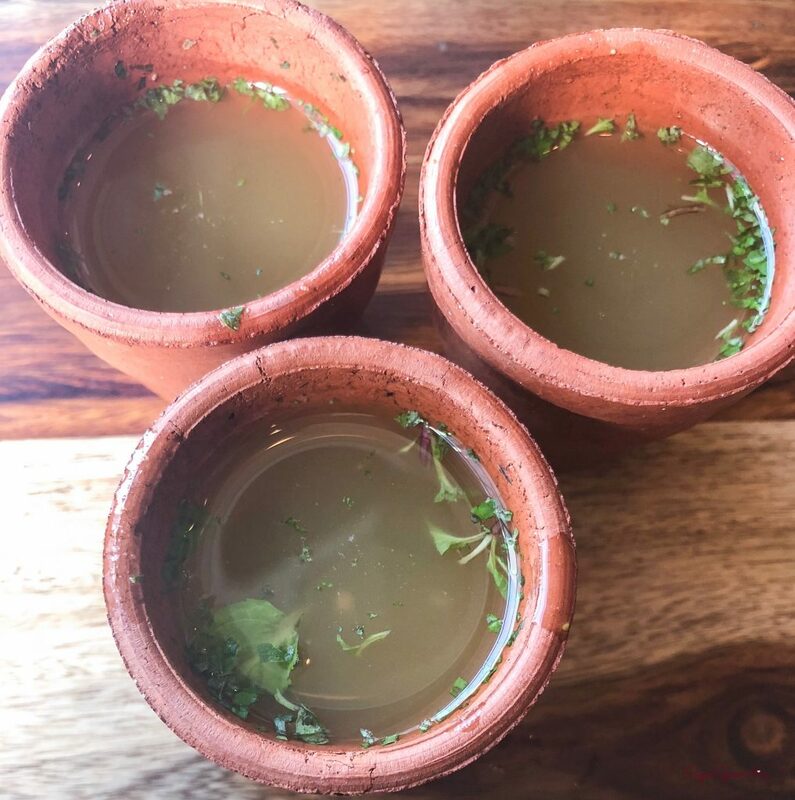 A spiced chaas – has a nice flavor from the mint and pepper in it. 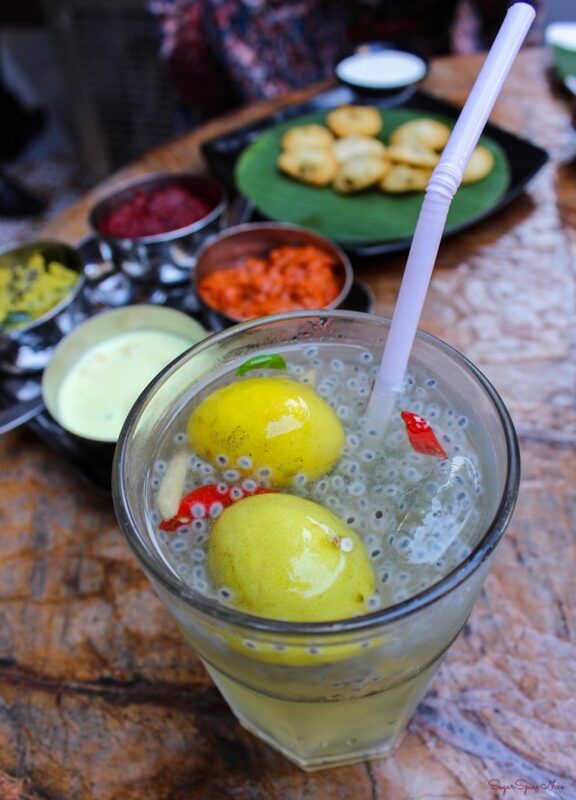 A lemonade spiced with chillies – literally! This one is way too spicy. This one didn’t really please me. 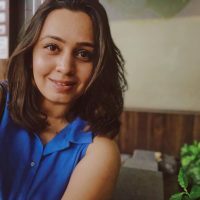 I quite enjoyed my visit to Madras Diaries. 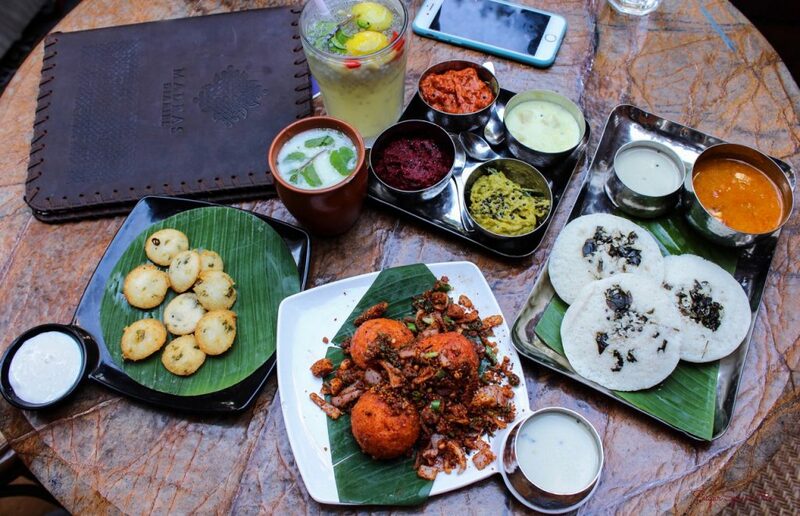 You can definitely visit for a non-udipi South Indian experience. Their food is pretty good. There were somethings which were a tad bit spicy for me, but overall I was quite happy with what I ate. One of the other things that looked interesting on their menu was the thali. I’ll definitely be trying that next time. I hope this review was helpful. Stay tuned for more.